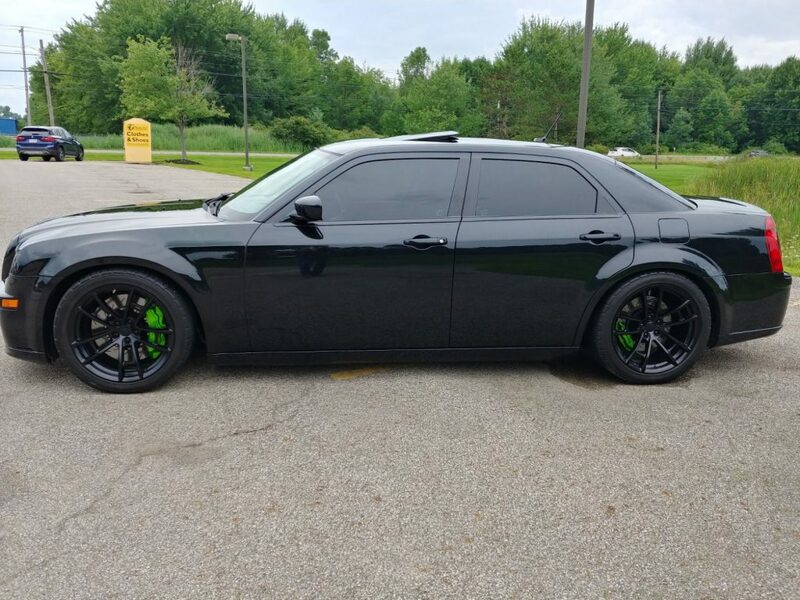 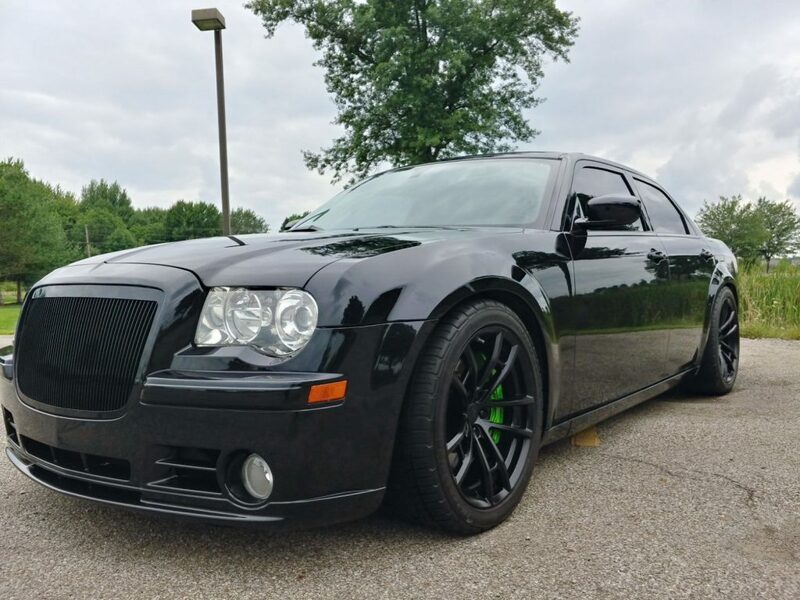 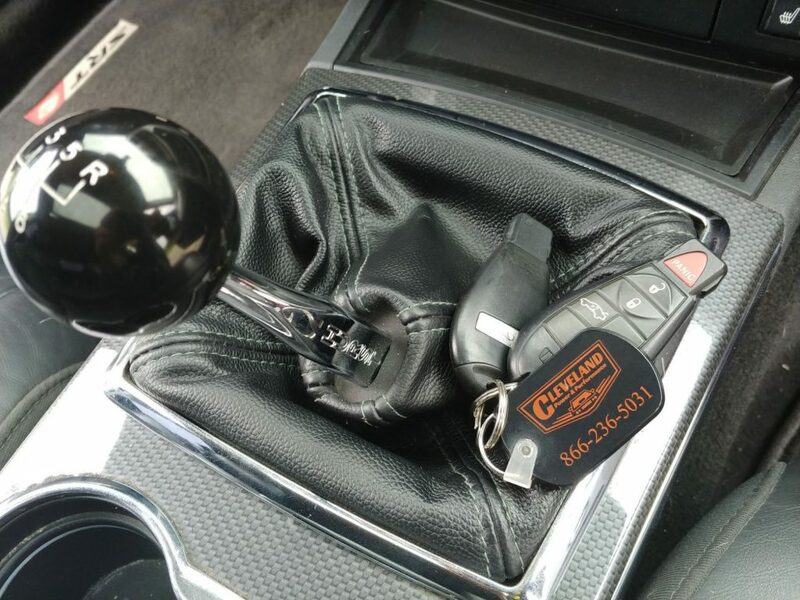 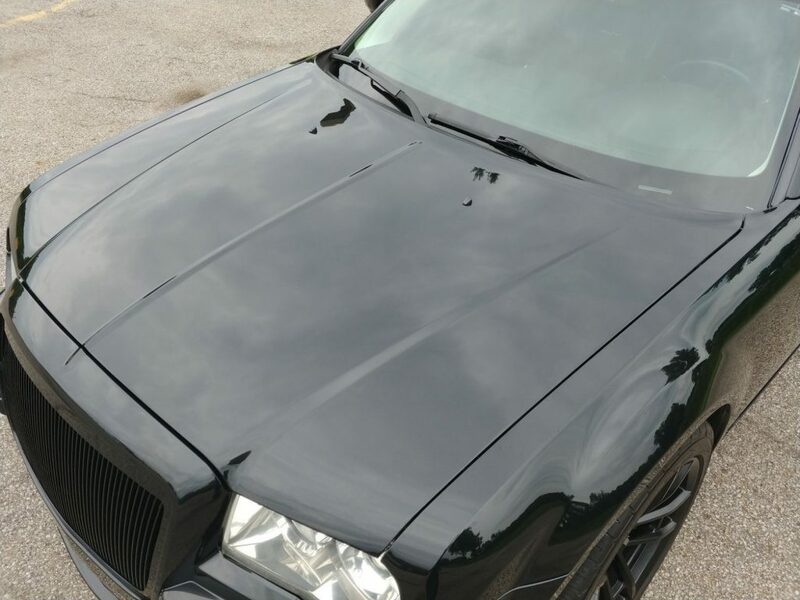 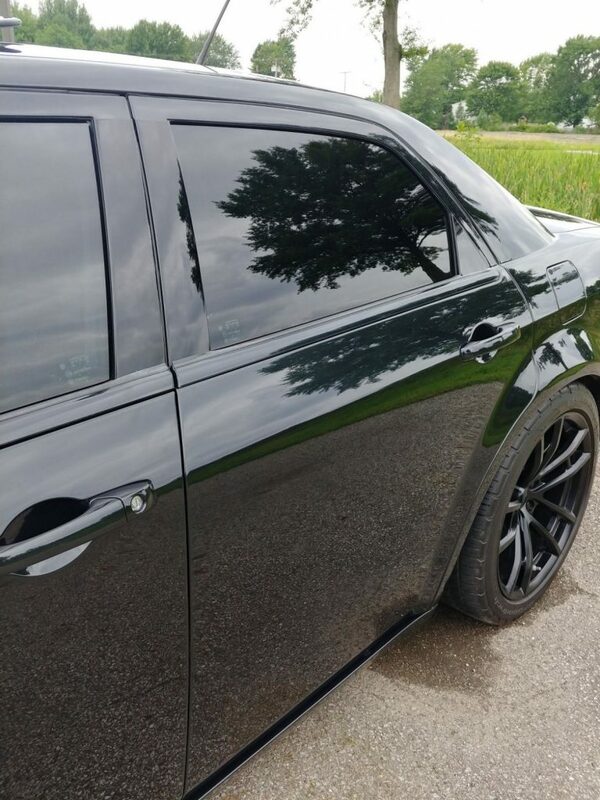 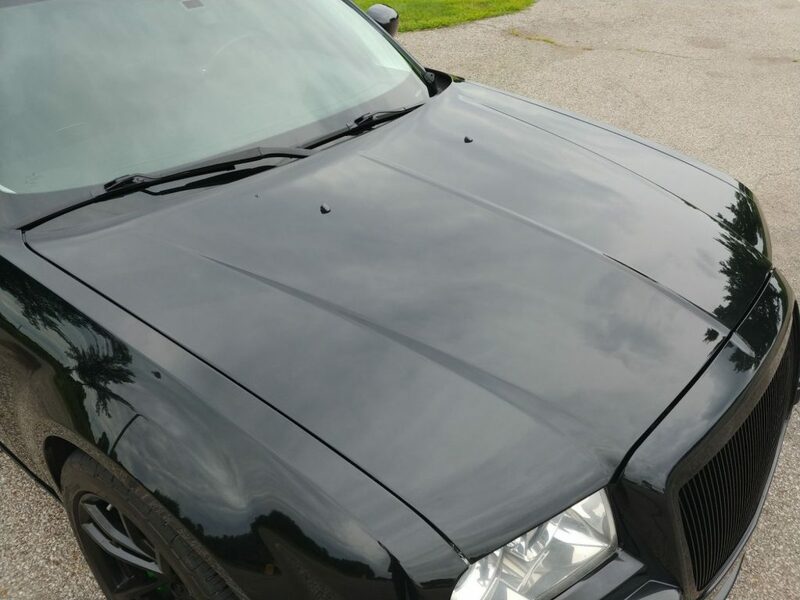 Cleveland Power and Performance is proud to present this 2008 Chrysler 300C SRT8 that has been professionally converted with a 6 speed manual transmission. 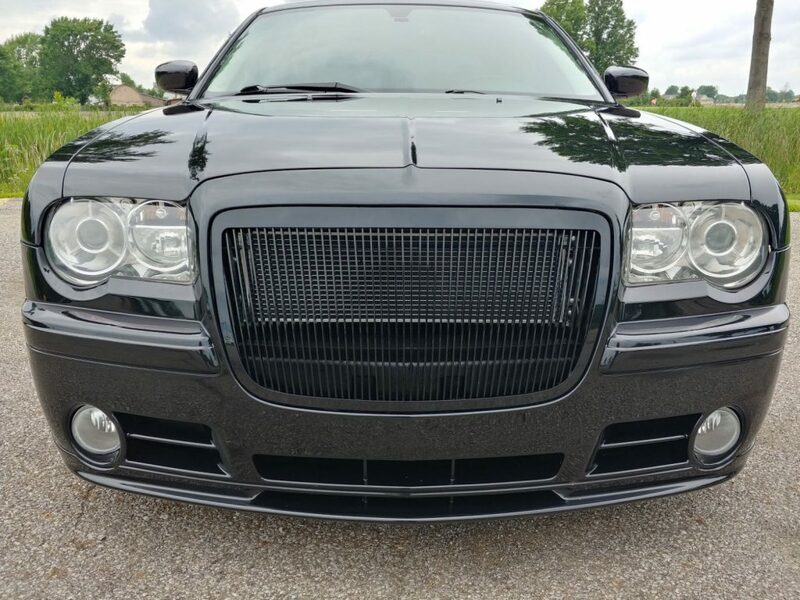 In addition to the manual trans conversion, this 300C received engine/exhaust modifications, custom paint, unique wheels and much more. 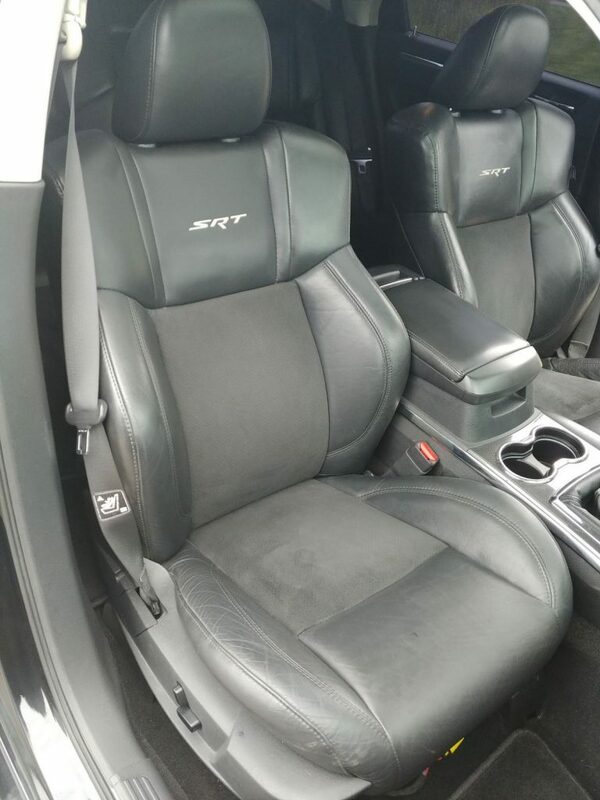 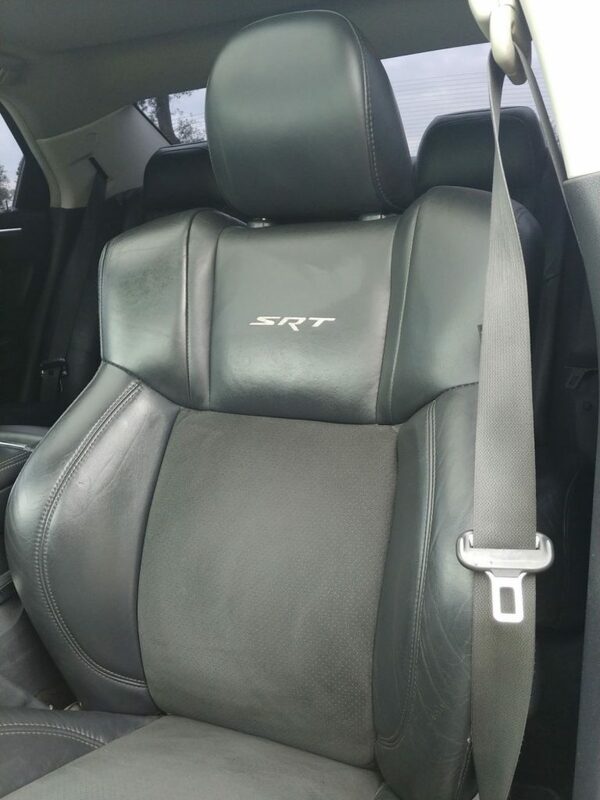 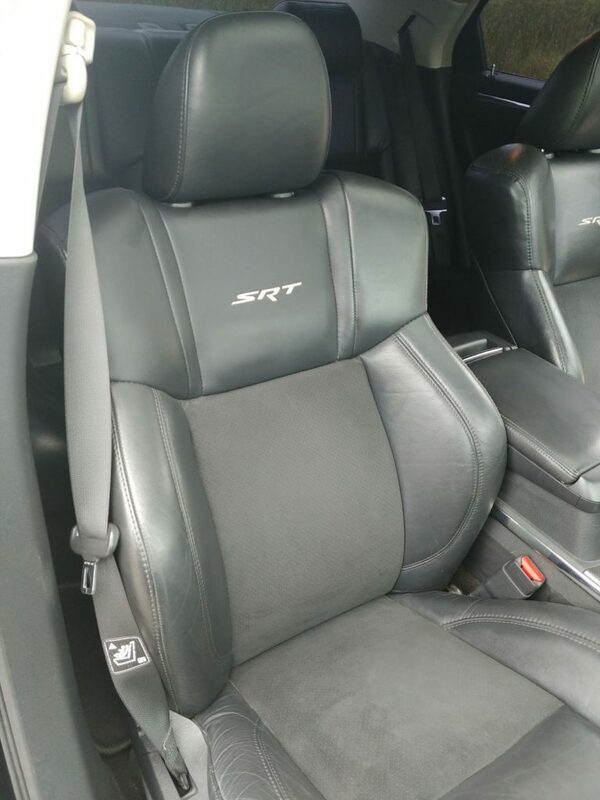 This one of a kind SRT is being sold with a clean title. 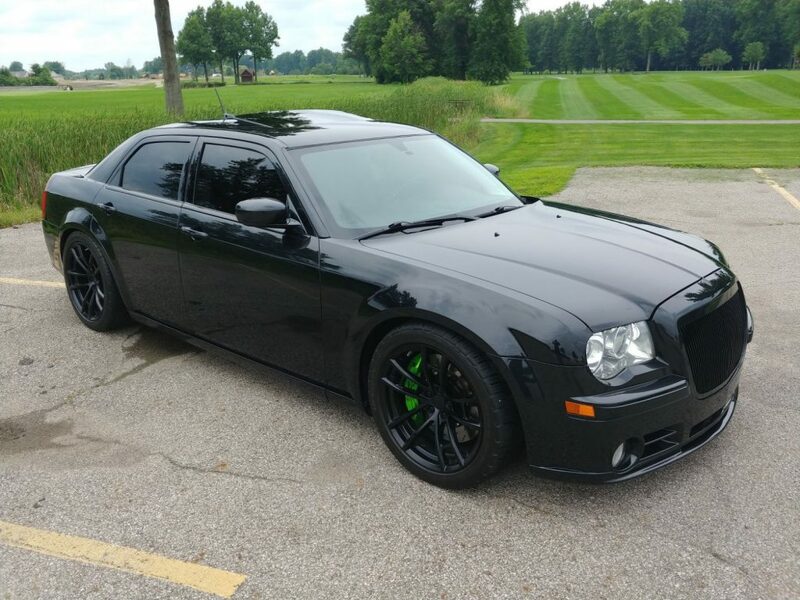 Not only is this a limited production year for the 300C SRT, it is the only 2008 SRT 300 to be professionally manual converted. 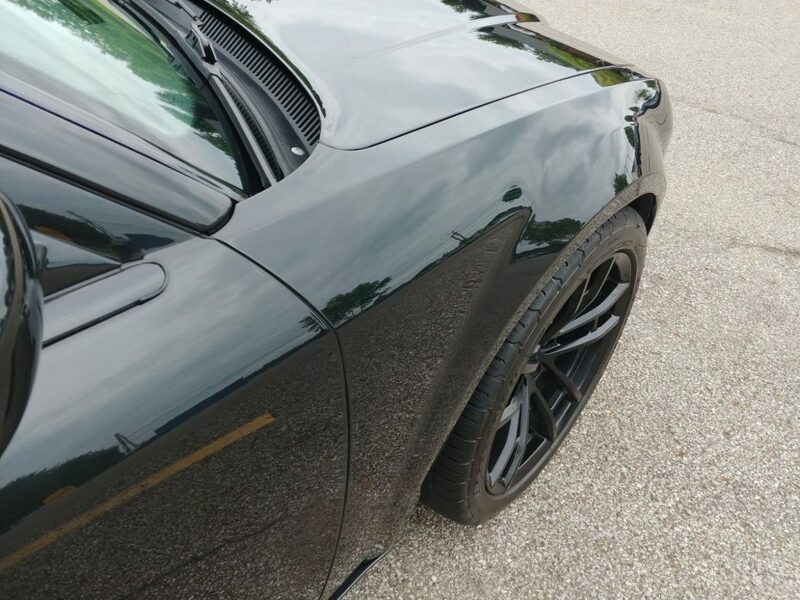 This black beauty also has a TON of extras that make it so unique you will NEVER see another one like it! 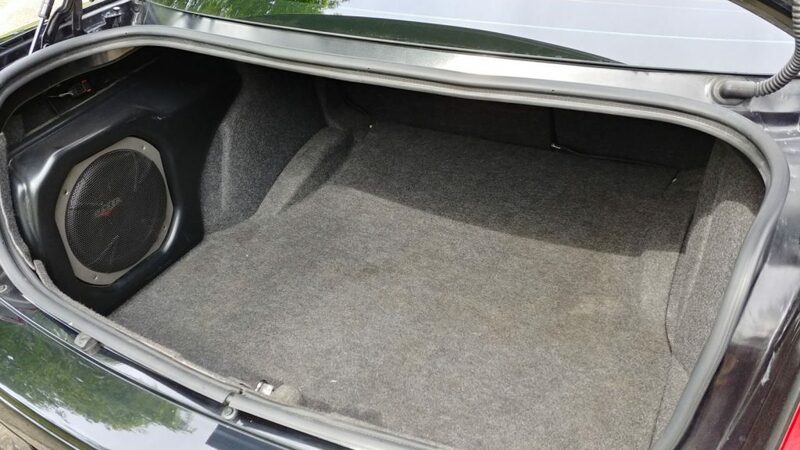 Here is a quick list of all the extras on this rare bird. 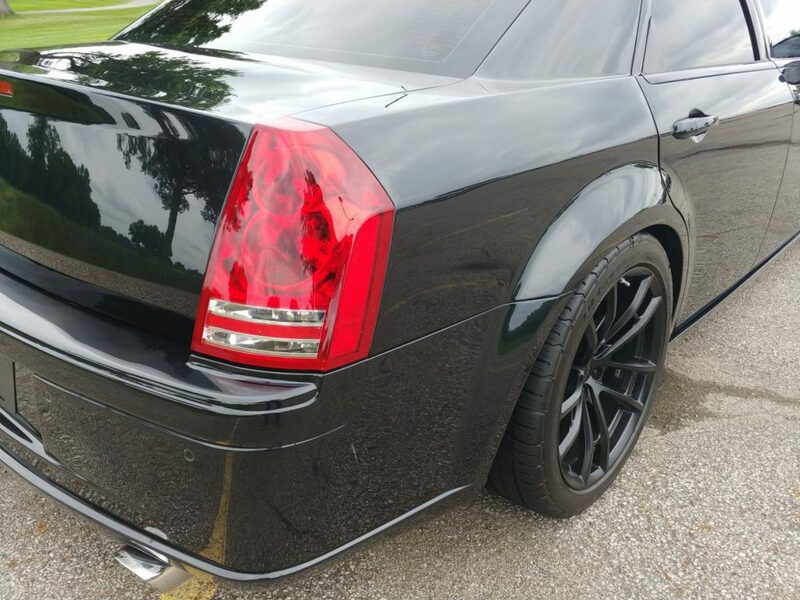 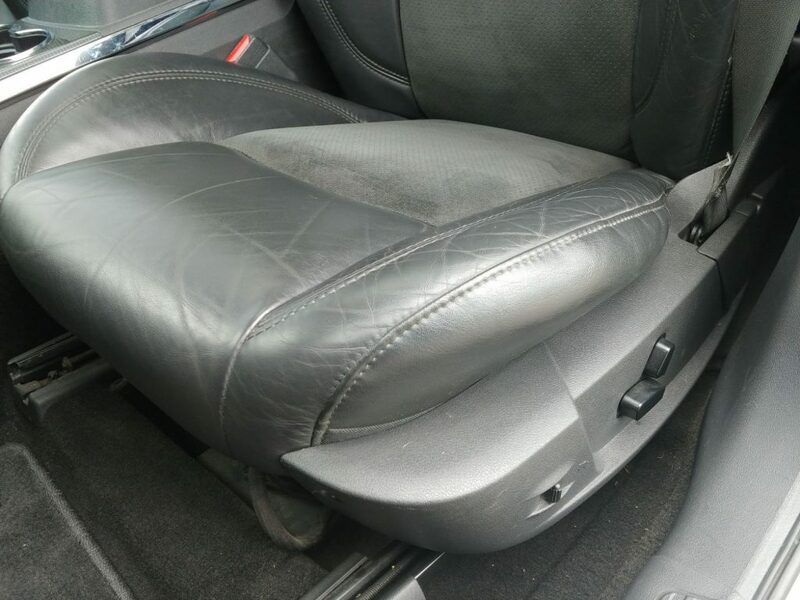 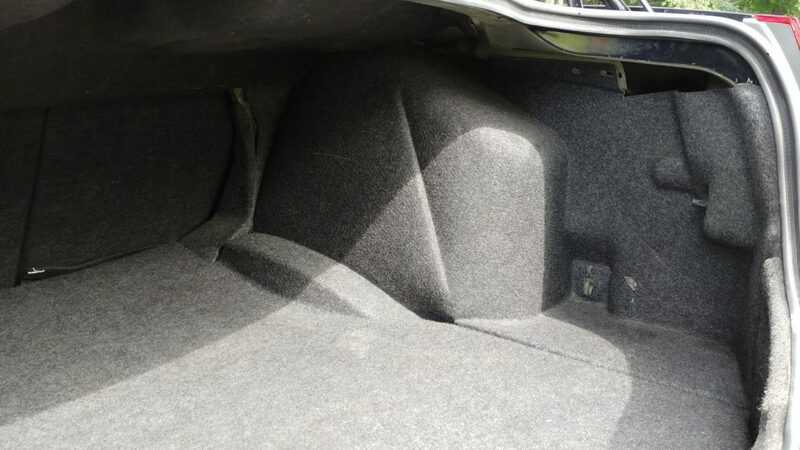 The driveline in this 300C has 57k miles on it. 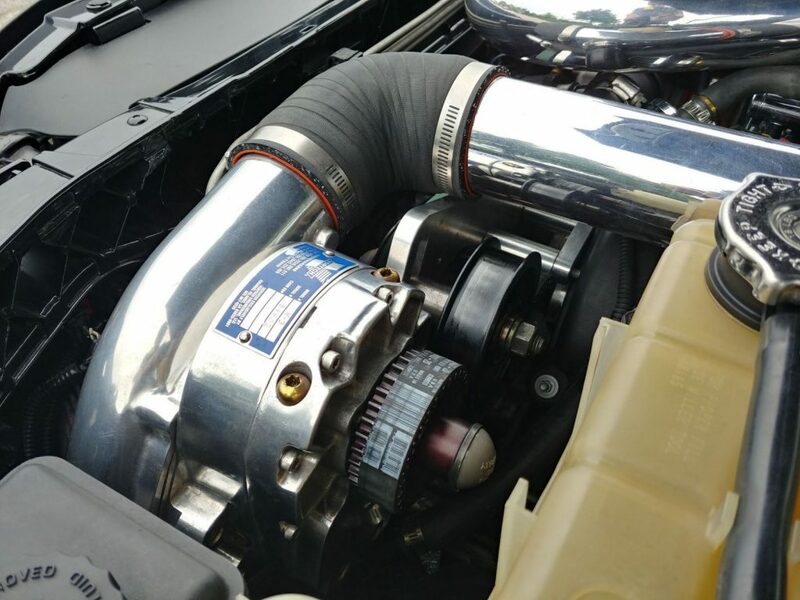 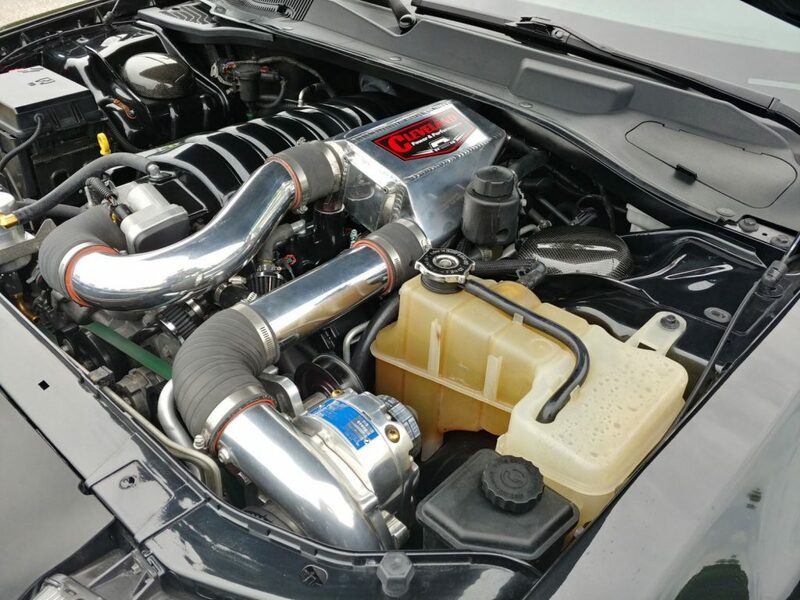 We installed a Vortec V3 Supercharger on this 6.1L HEMI, running 8psi boost. 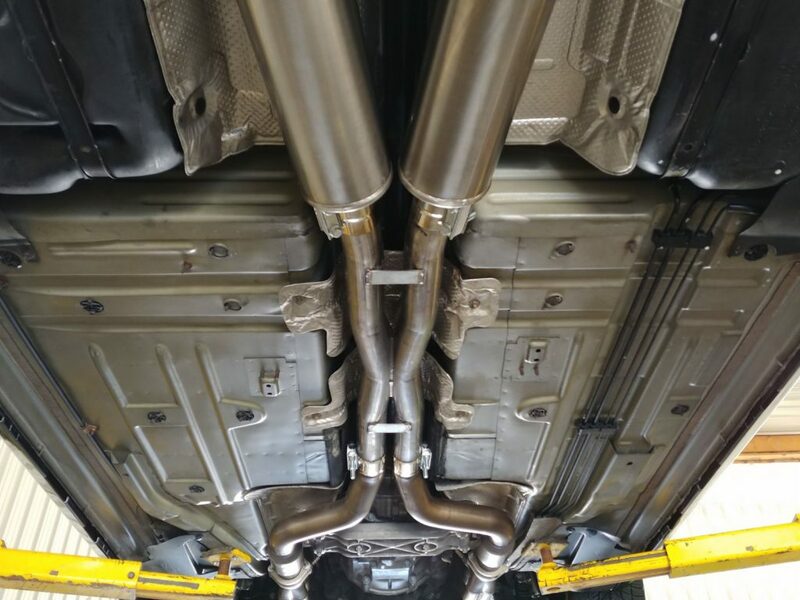 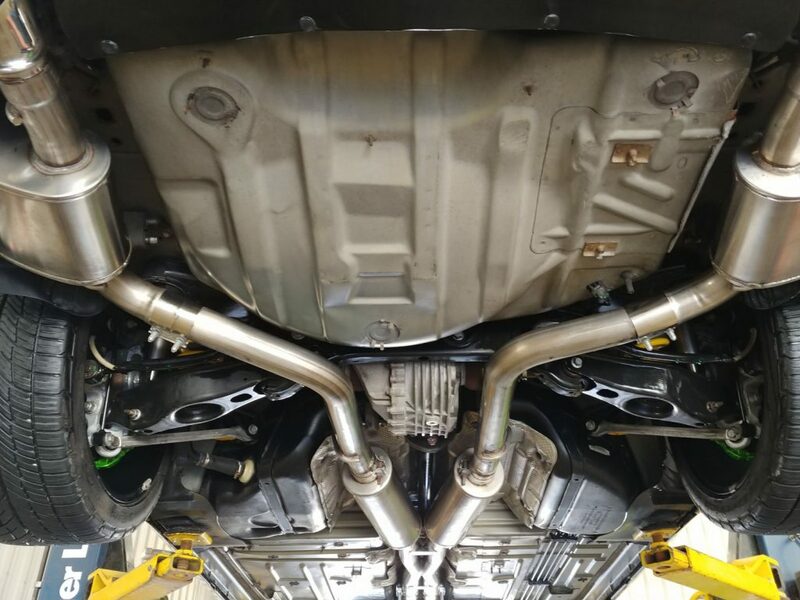 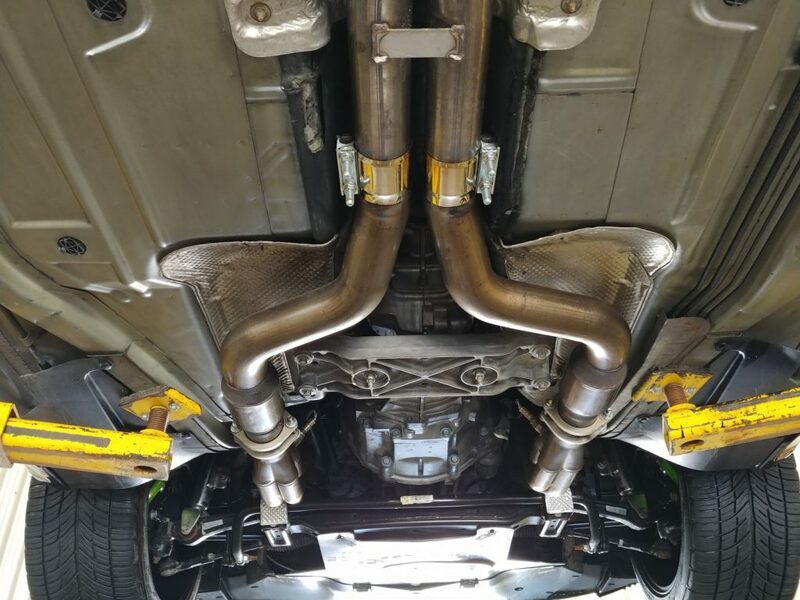 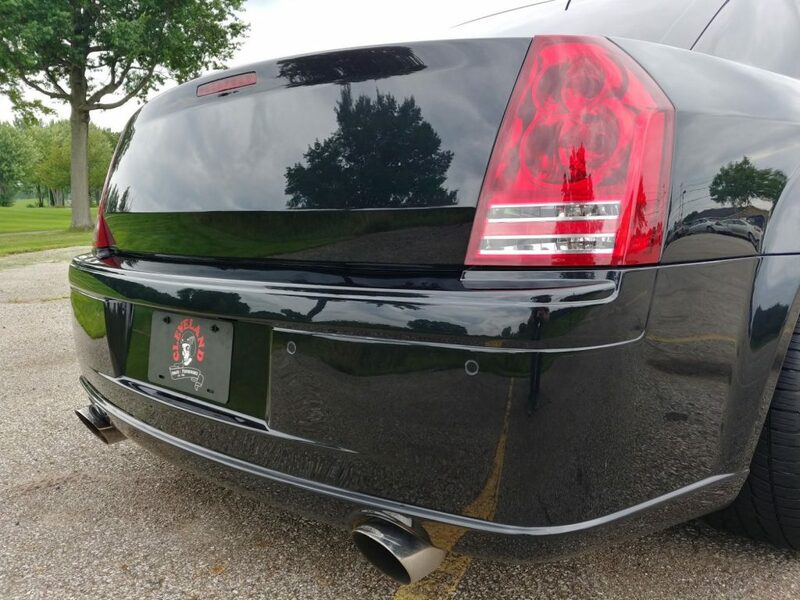 The awesome exhaust tone heard on this 300C is thanks to the Kooks long tube headers, high flow cats, and Corsa cat back exhaust that we installed. 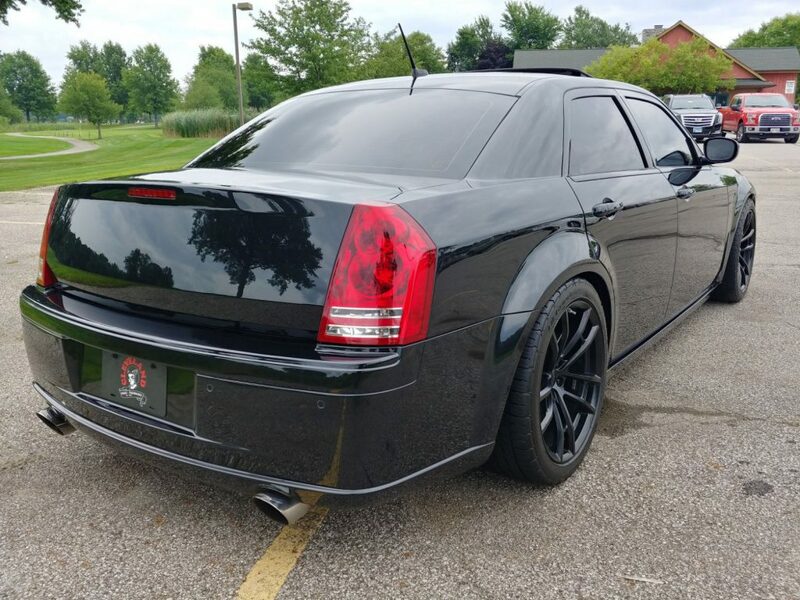 The growl heard high in the RPM range really compliments this Chrysler’s attitude! 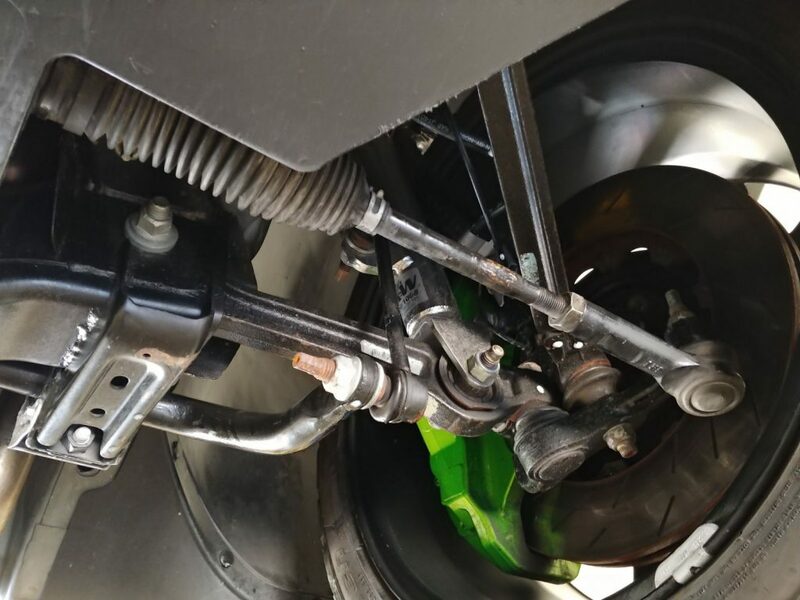 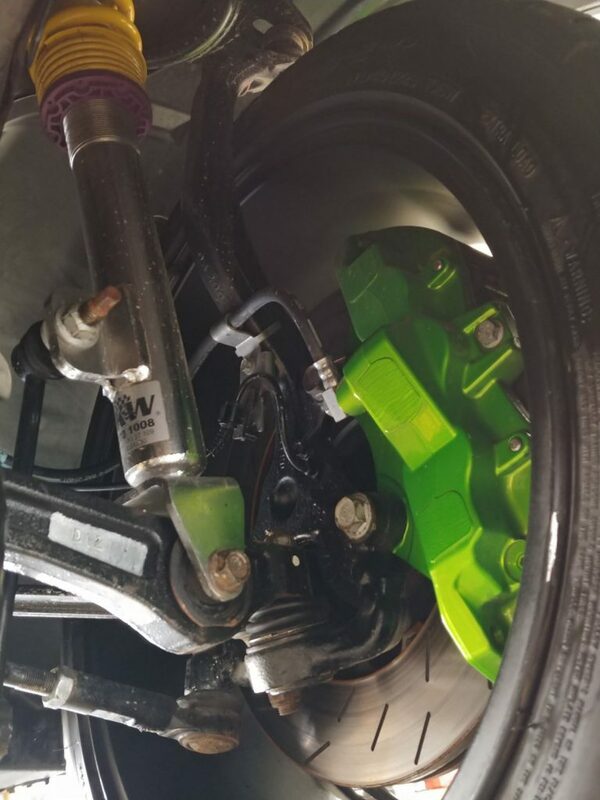 The transmission used is the stock Challenger Tremec TR-6060, that has been fit with a brand new OEM twin disc clutch and Hurst shifter. 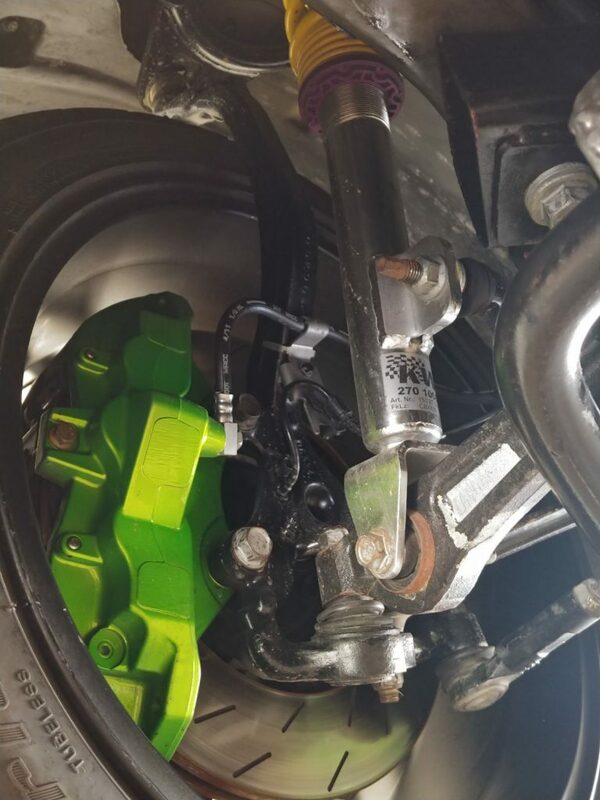 The transmission wad prepped for more power by way of new 1st, 2nd, 3rd, 4th gear synchro’s, new input shaft, new counter shaft, and 1st-4th gear blocker rings. 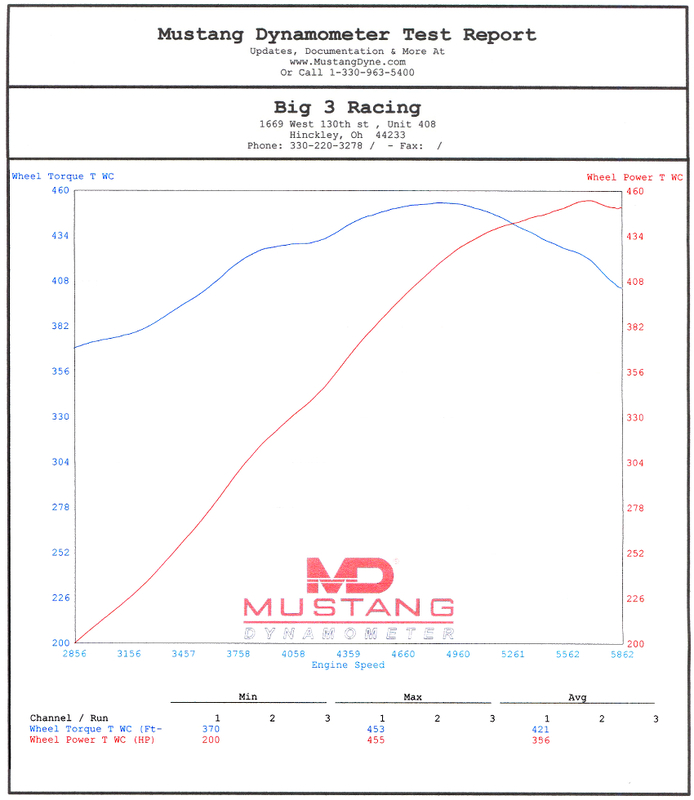 After the build, and before the car hit the street, it was taken to the dyno shop to get fine tuned where it put down a solid 455whp and 453ft-lbs! 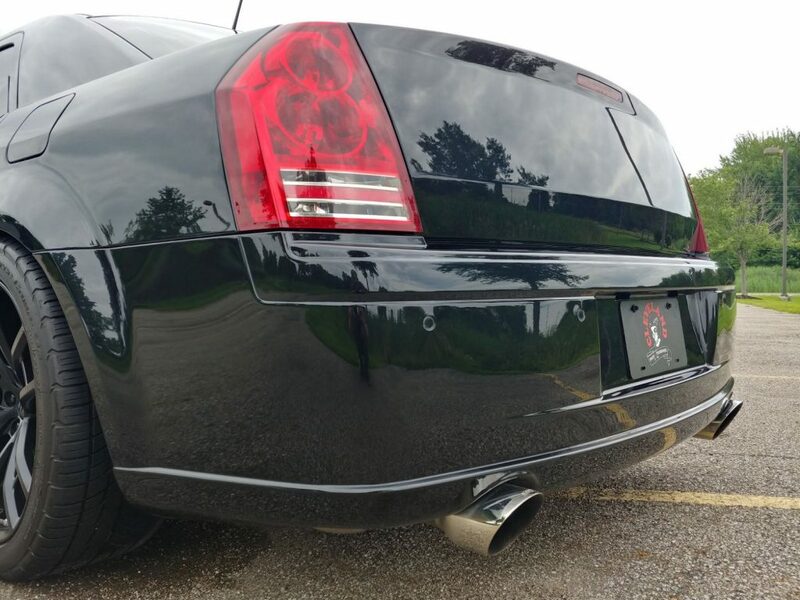 This 300C has been completely repainted professionally in our booth in Brilliant Black Pearl (PXR). 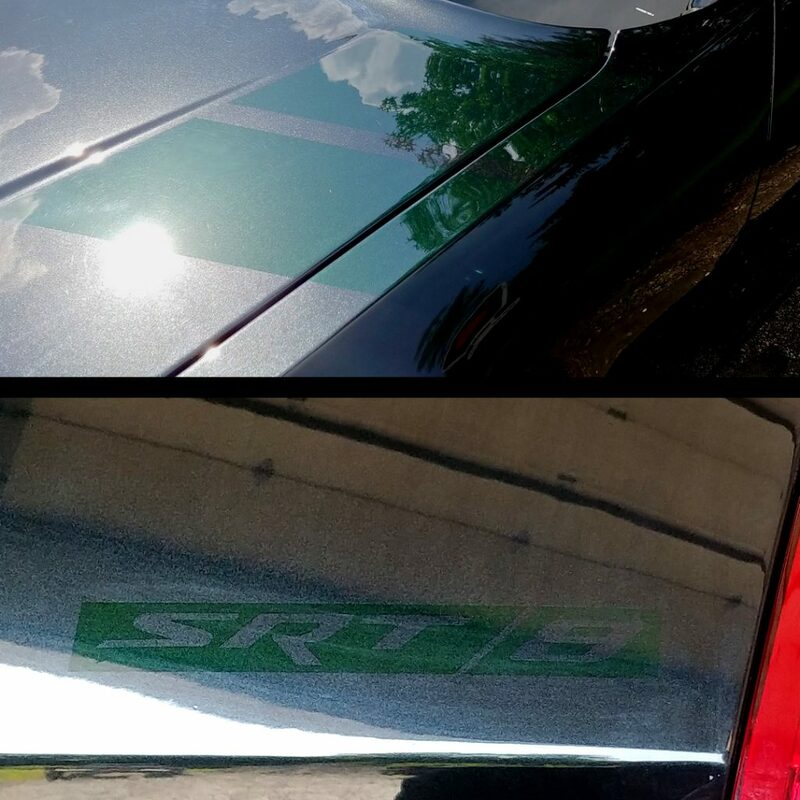 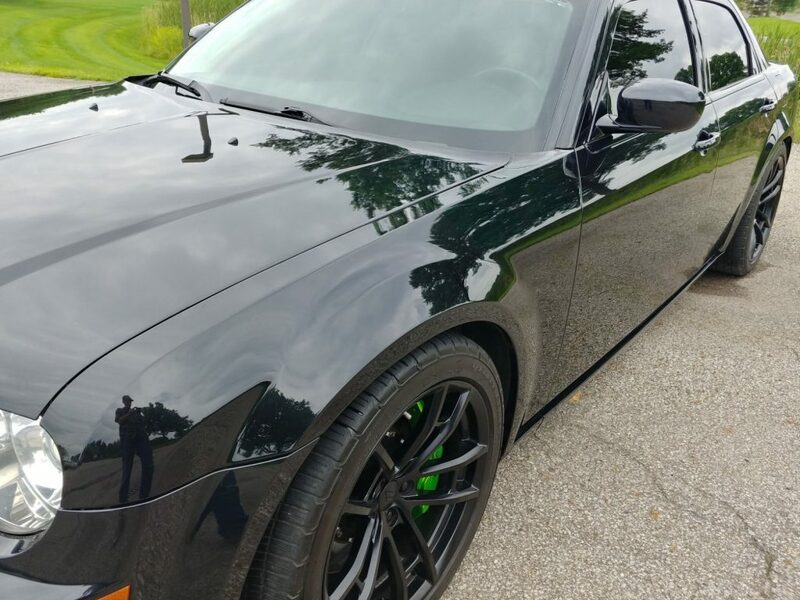 We painted the grille, hash mark accents on both corners of the hood and fender, as well as an “SRT8” emblem on the decklid in “Forest green Metallic”. 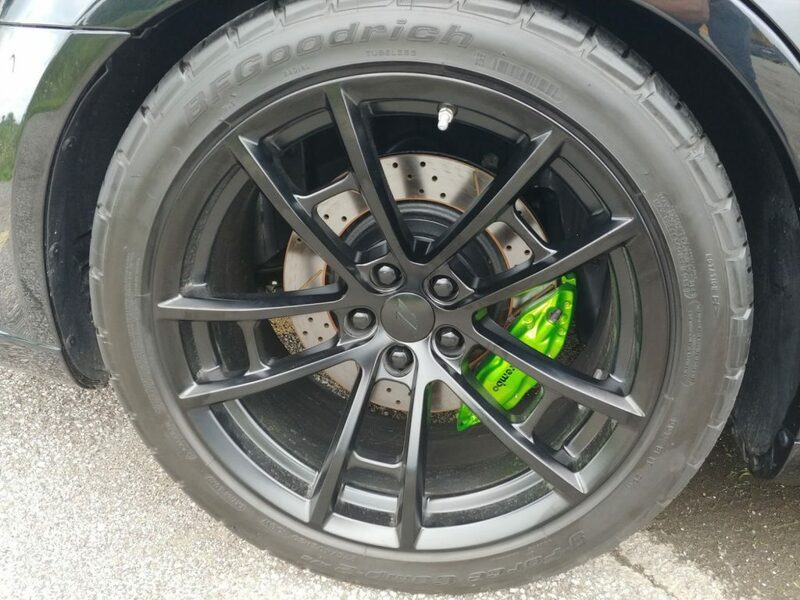 These accents are subtle but in the right light they compliment the green calipers very well. 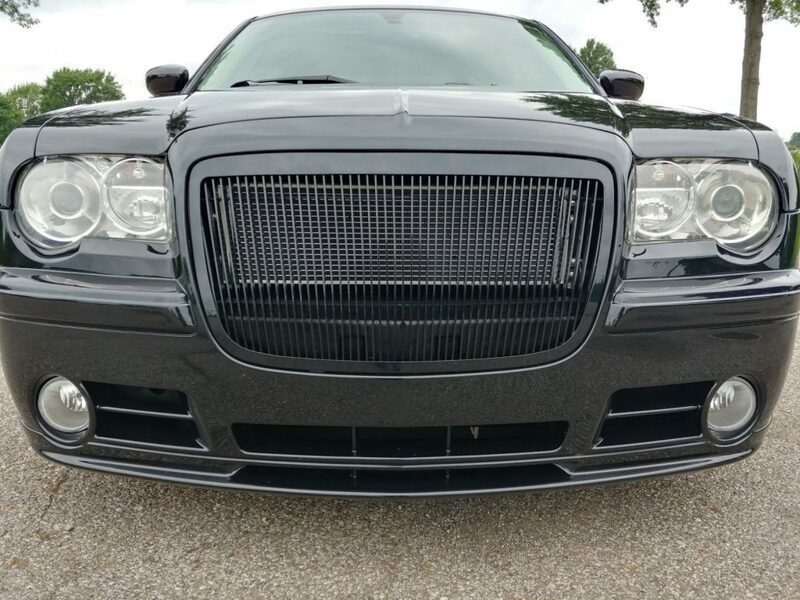 Up front you will see a 1 off custom grill made here in house. 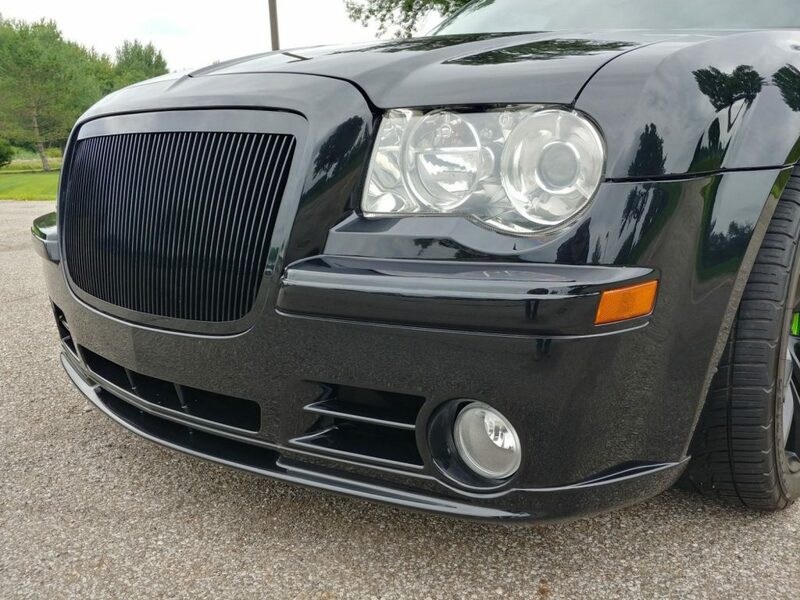 We smoothed and eliminated the Chrysler emblem from the front bumper, giving the front end an extremely clean look. 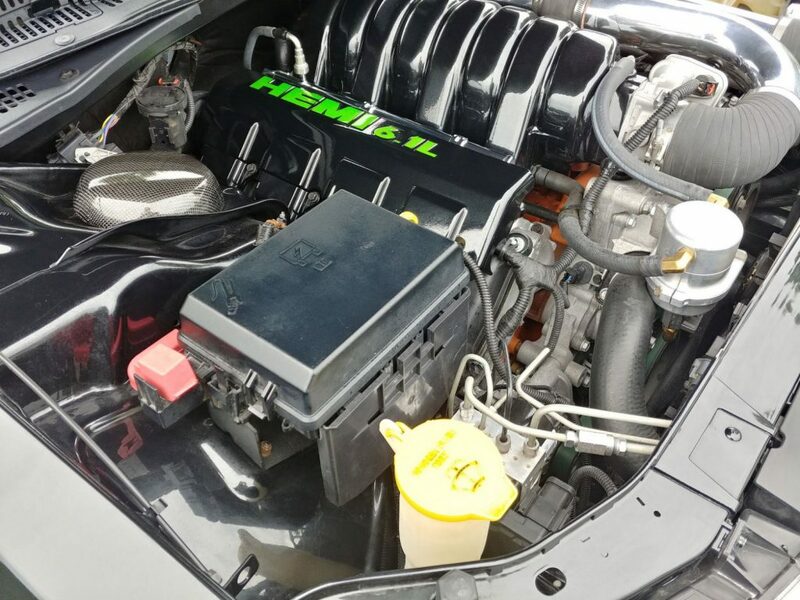 The intake manifold has been smoothed and professionally painted black to match the body color of the car. 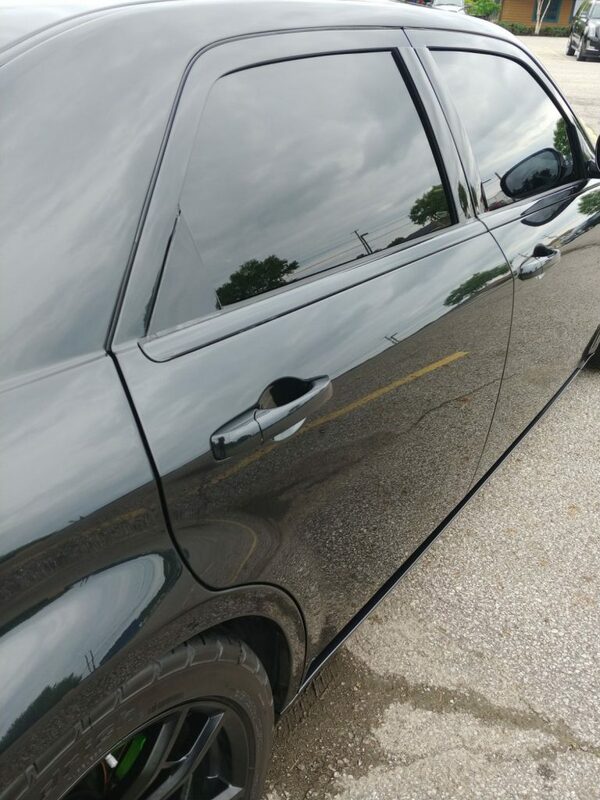 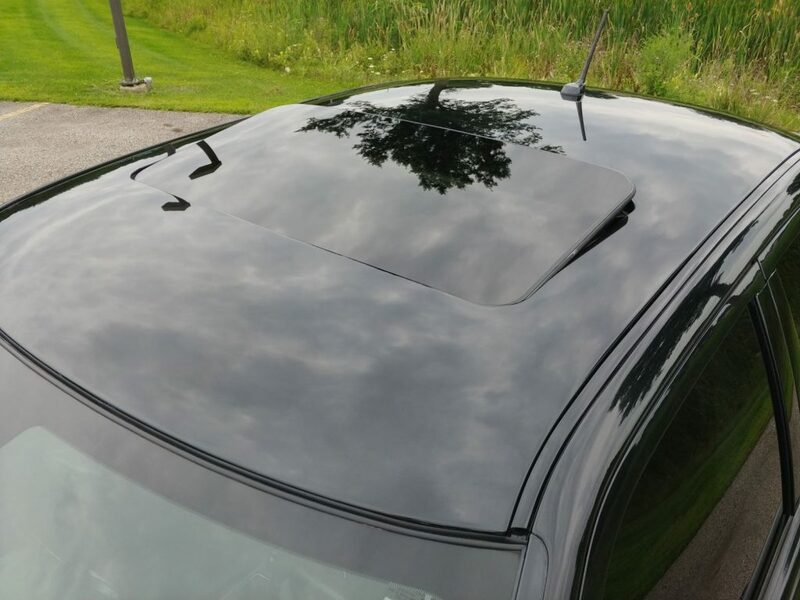 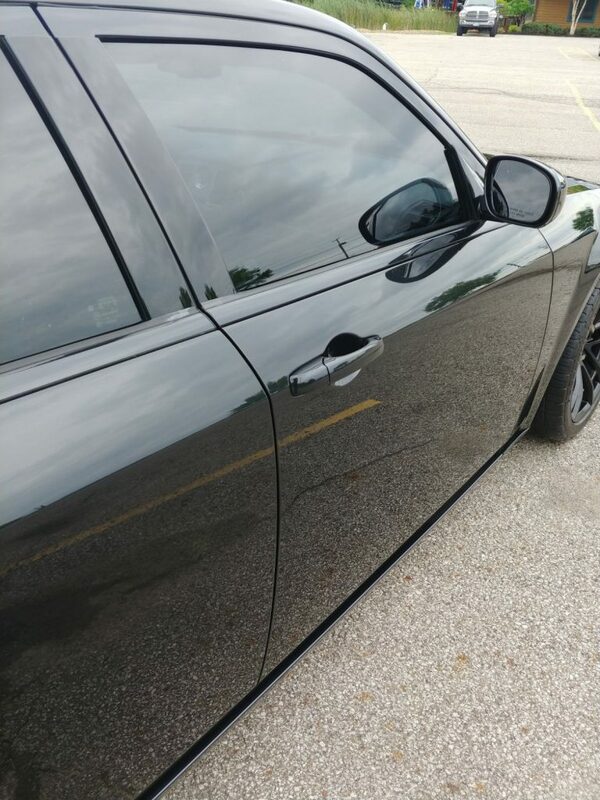 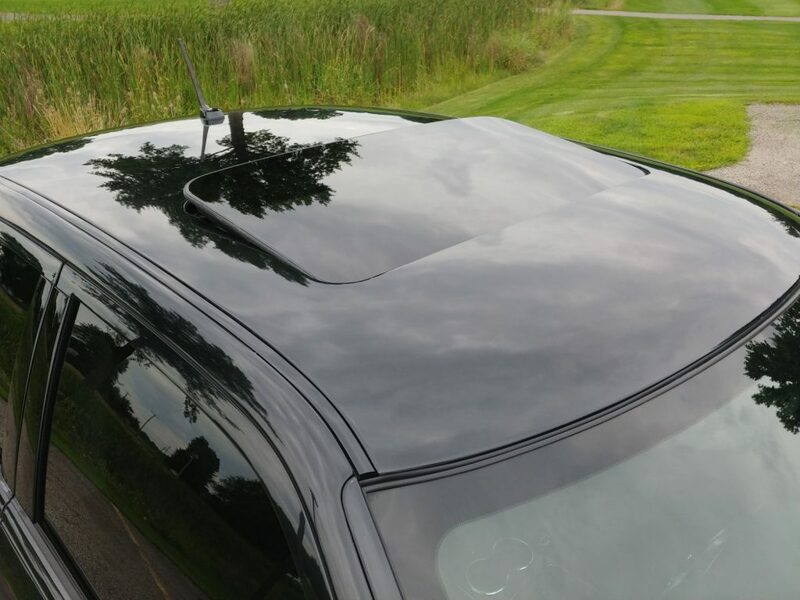 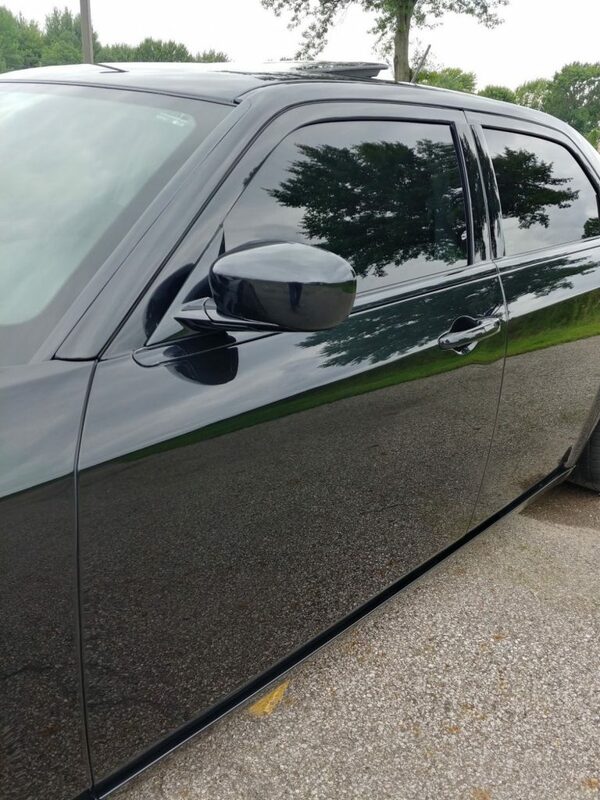 We also painted the windshield trim and mirror surrounds gloss black to match the body color. 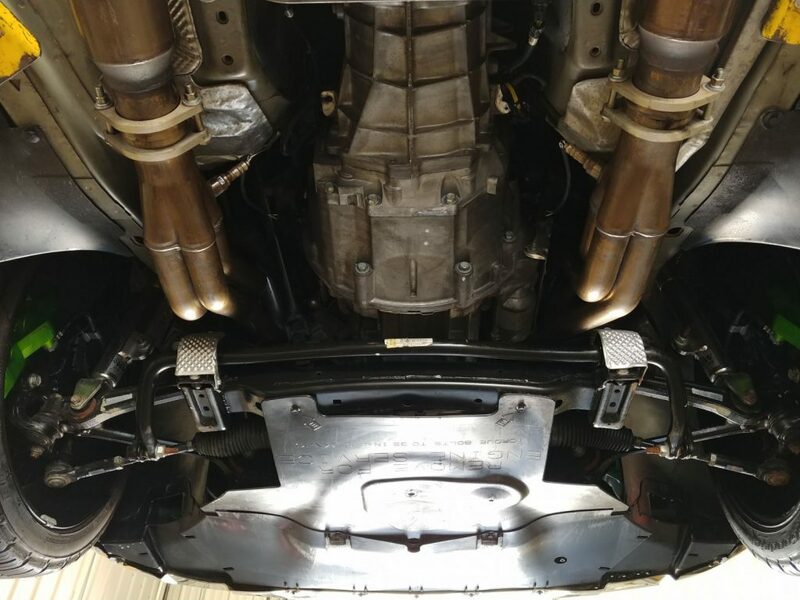 Under the hood you will also see custom carbon fiber strut tower caps, custom painted valve cover, and Moroso catch can. 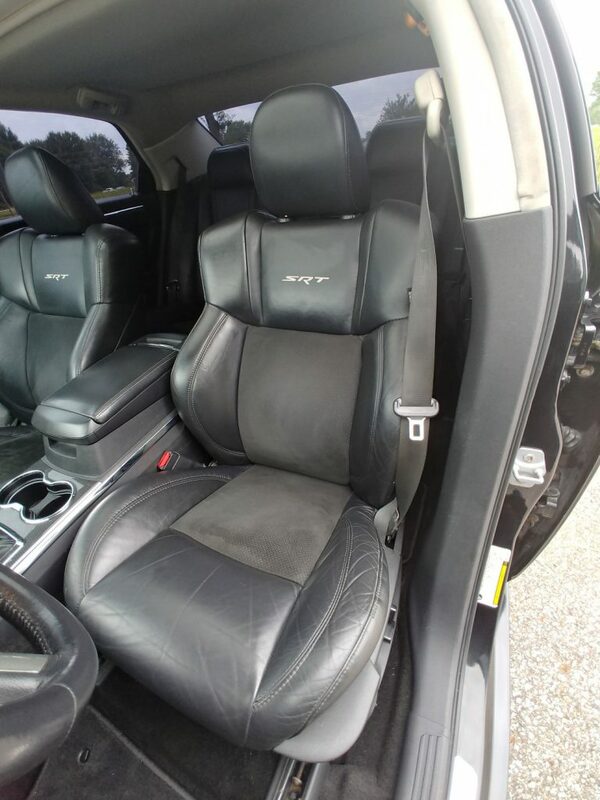 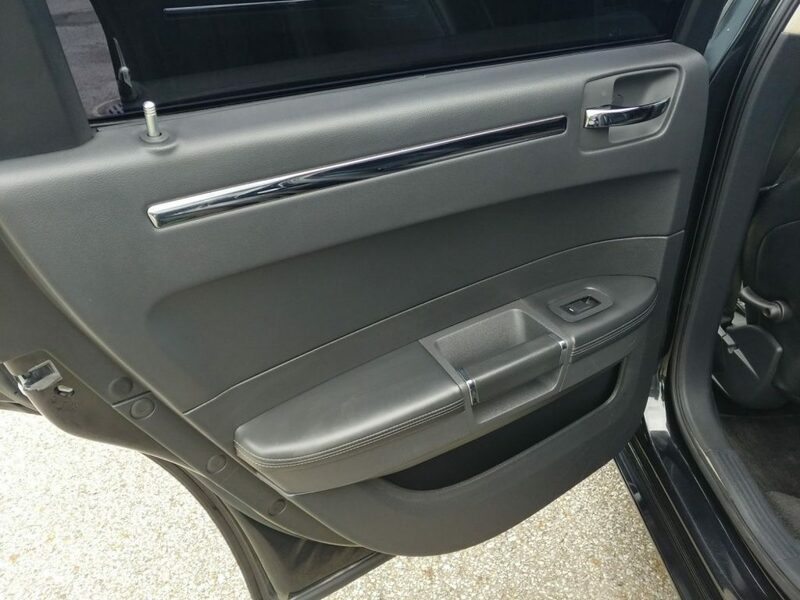 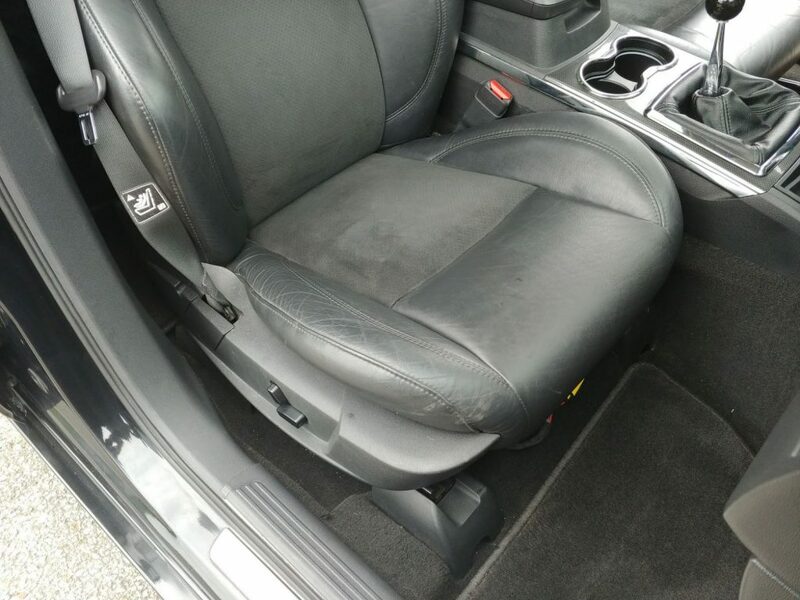 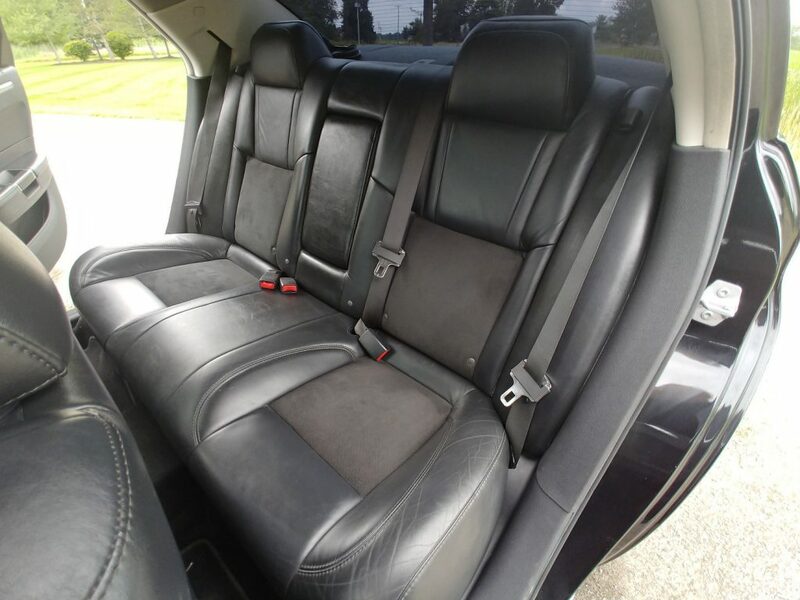 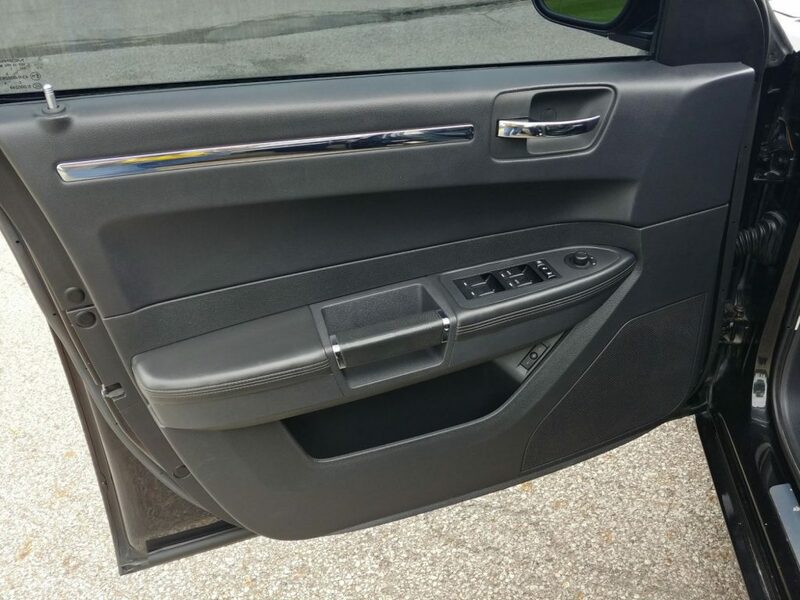 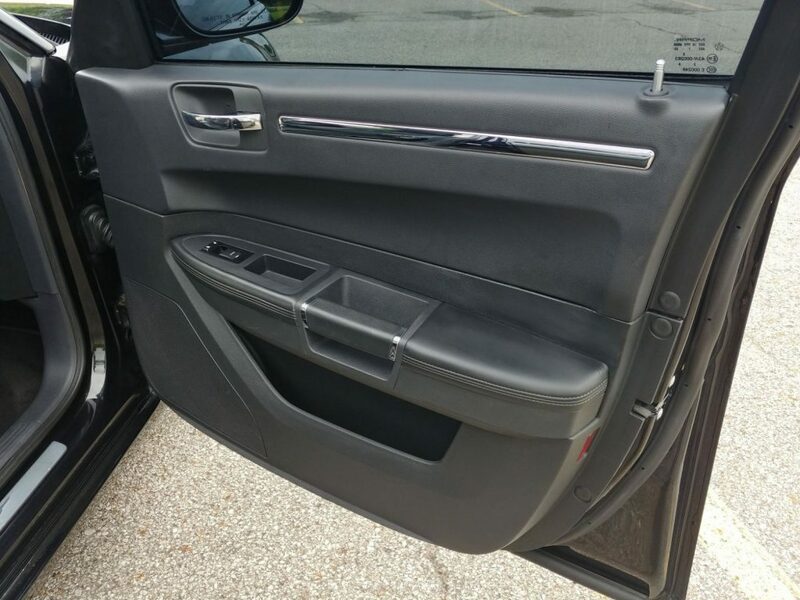 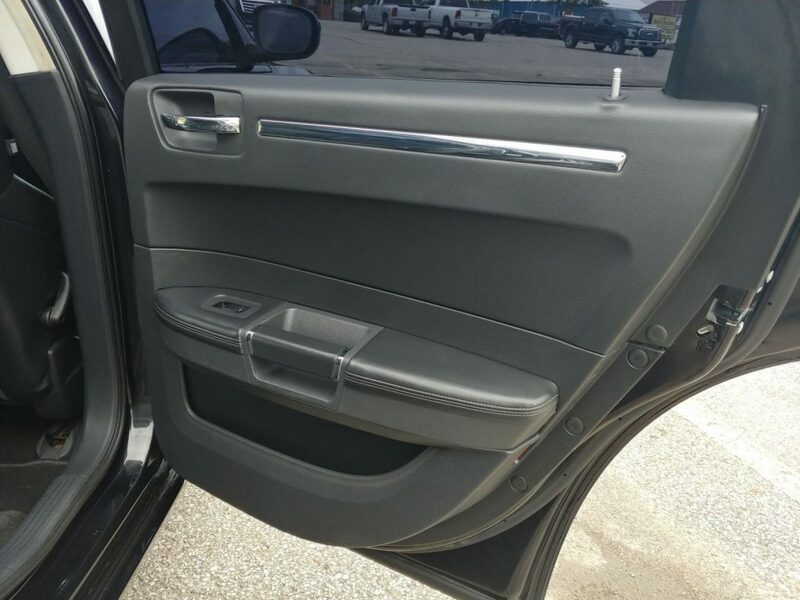 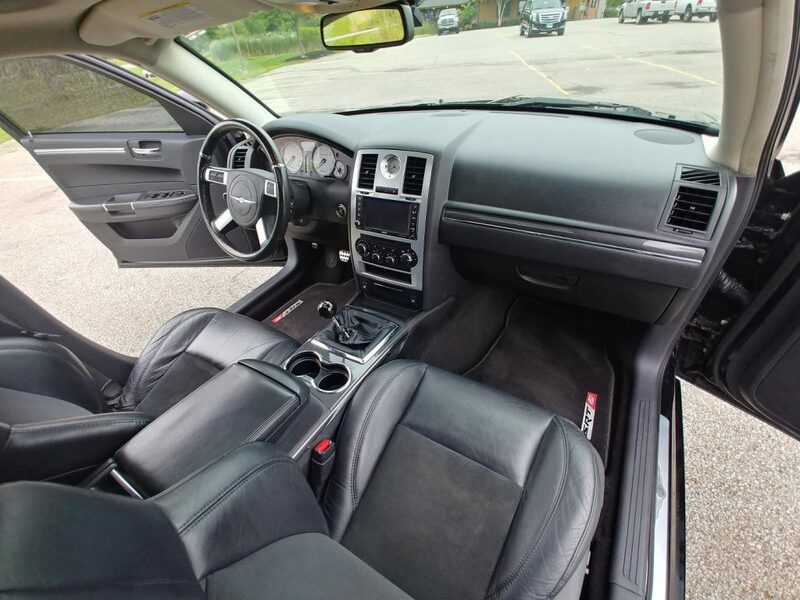 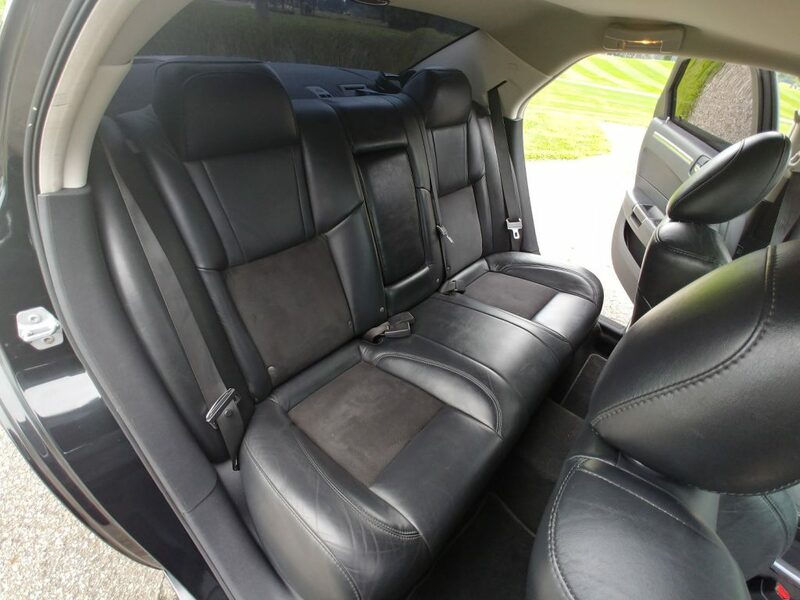 This 300C retains all of the interior amenities that you would expect in a Chrysler SRT8. 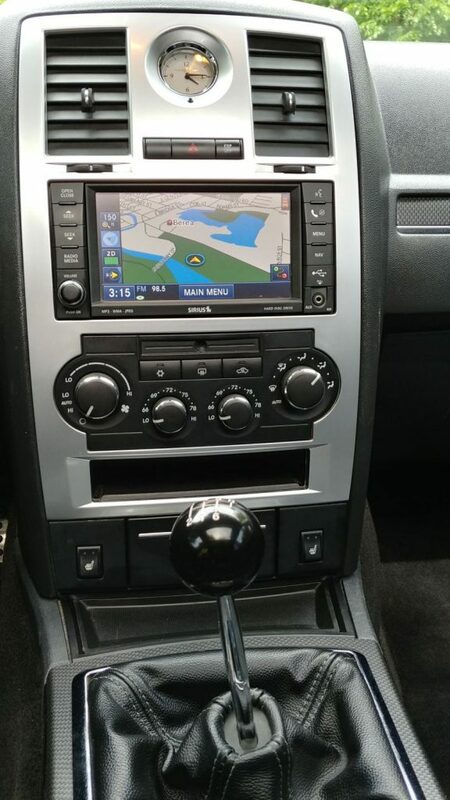 The touch screen navigation with internal hard drive is fully functional. 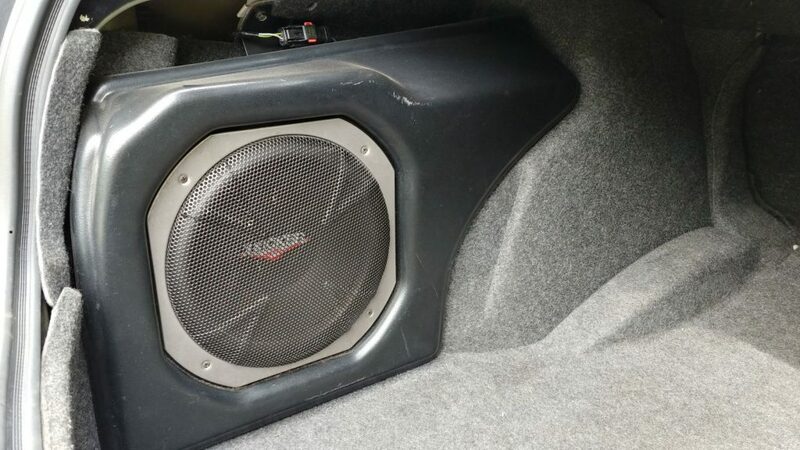 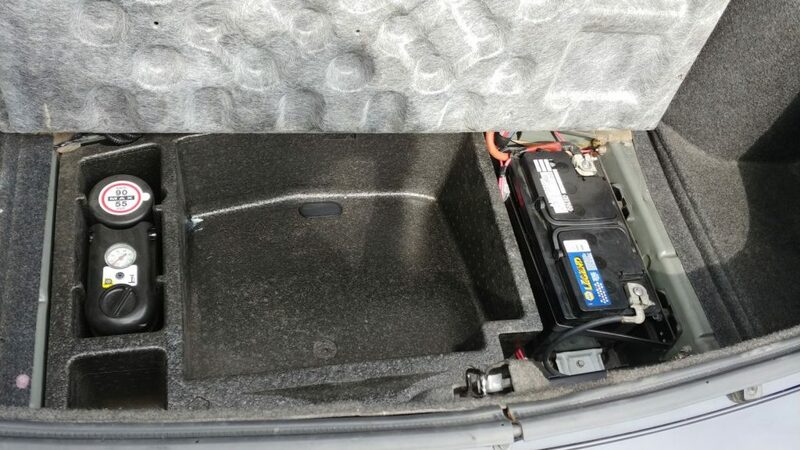 The Kicker system sounds great, and is complete with the sub mounted truck. 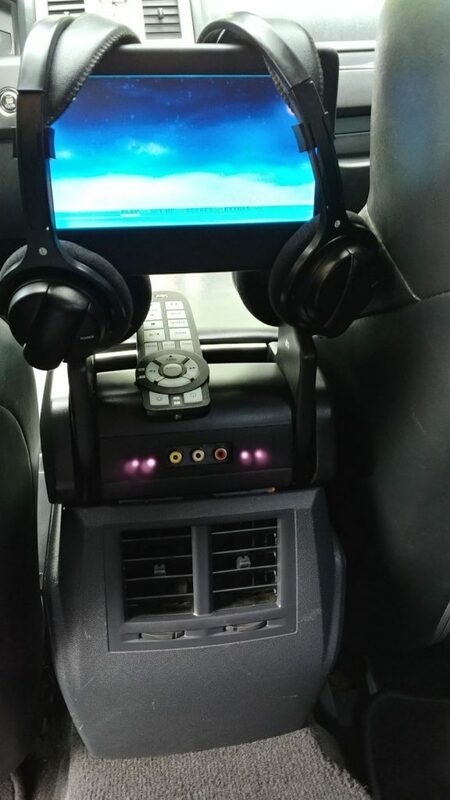 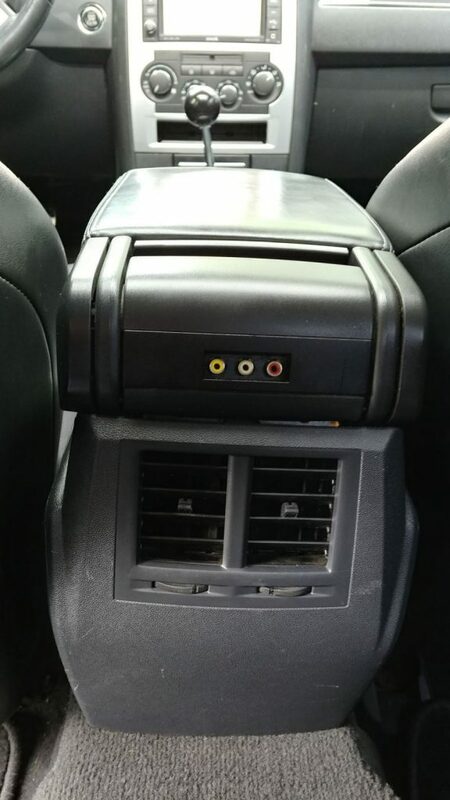 The center console DVD system and digital EVIC (vehicle info center in the cluster) are fully operational. 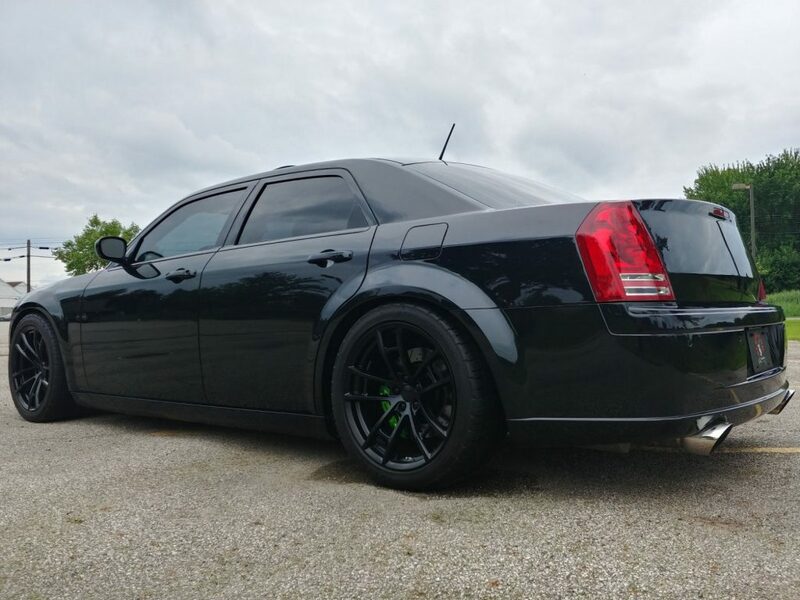 This 300C has a beautiful stance thanks to the KW coilover suspension. 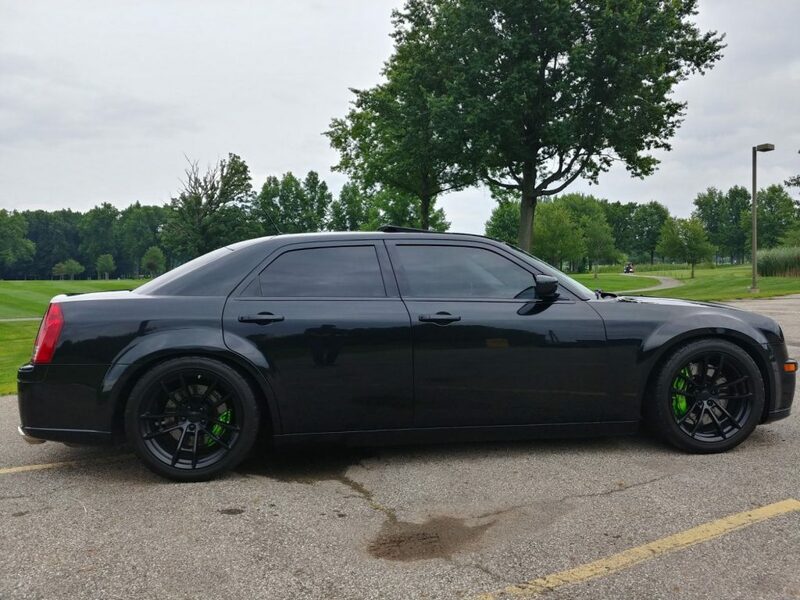 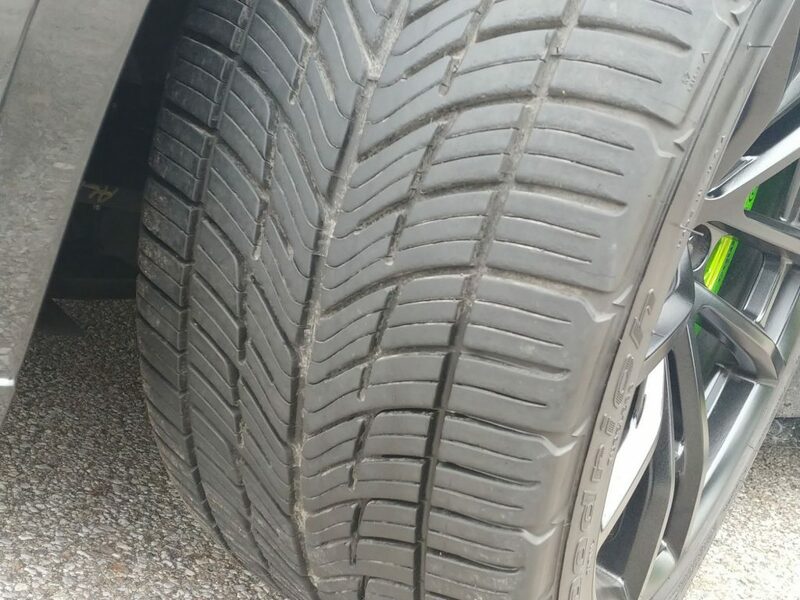 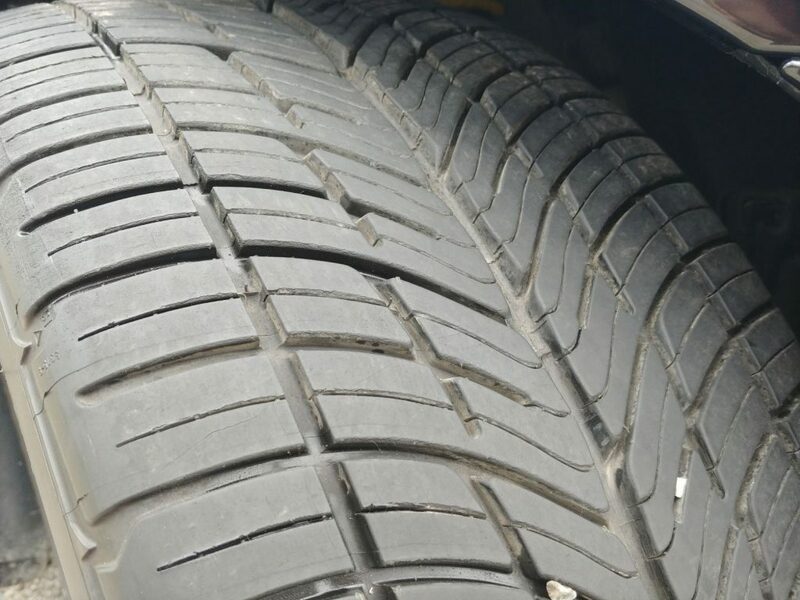 We have the car sitting around an 1″ below stock height, giving the vehicle a great stance and even better ride quality. 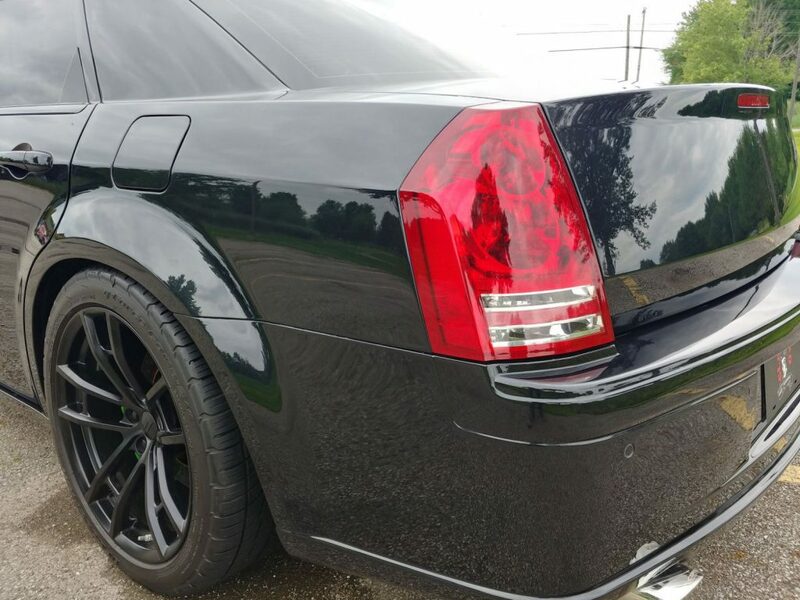 This 300C is equipped with the Challenger SRT manual trans 3.92 ratio Getrag limited slip rear differential and matching axle shafts. 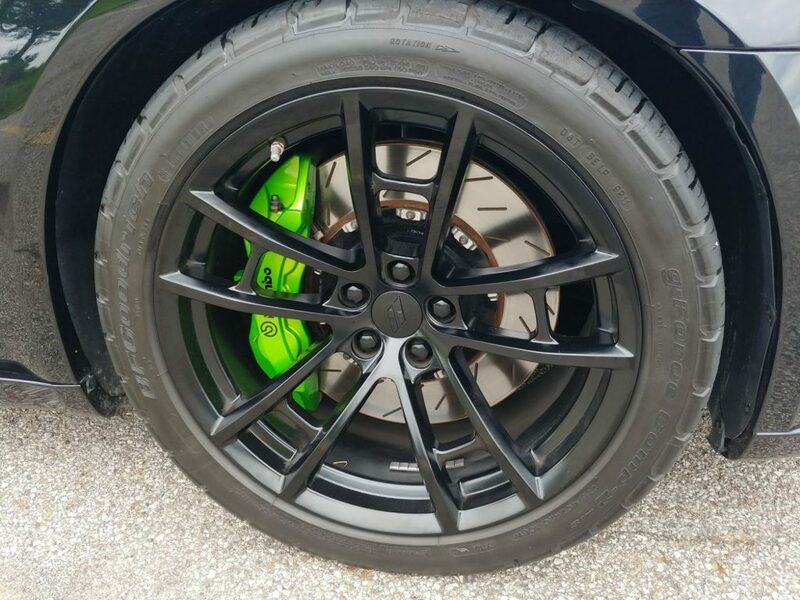 Sitting behind the oem 2017 Daytona edition Charger wheels are massive factory Hellcat Brembo brakes. 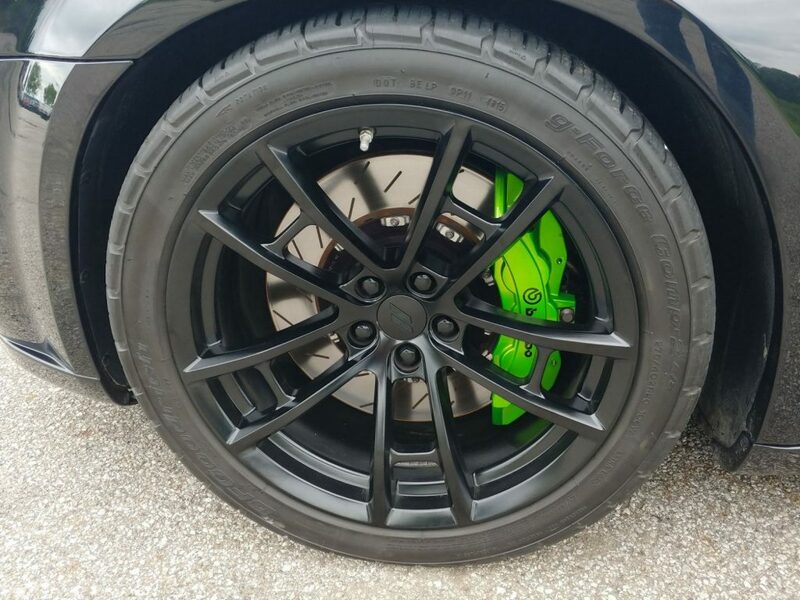 All four calipers are painted a custom candy green to stand out behind the black wheels. 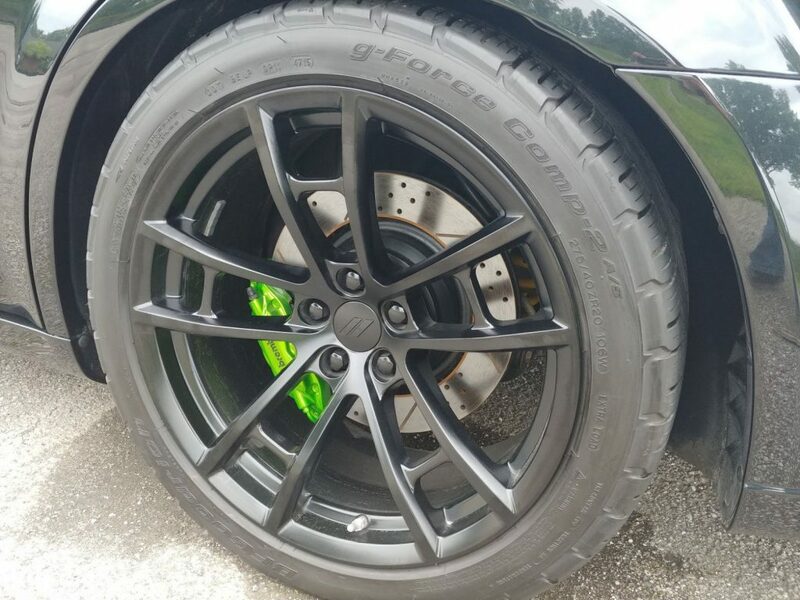 All four wheels are wrapped in 275/40/20 BFGoodrich G-Force Tires. 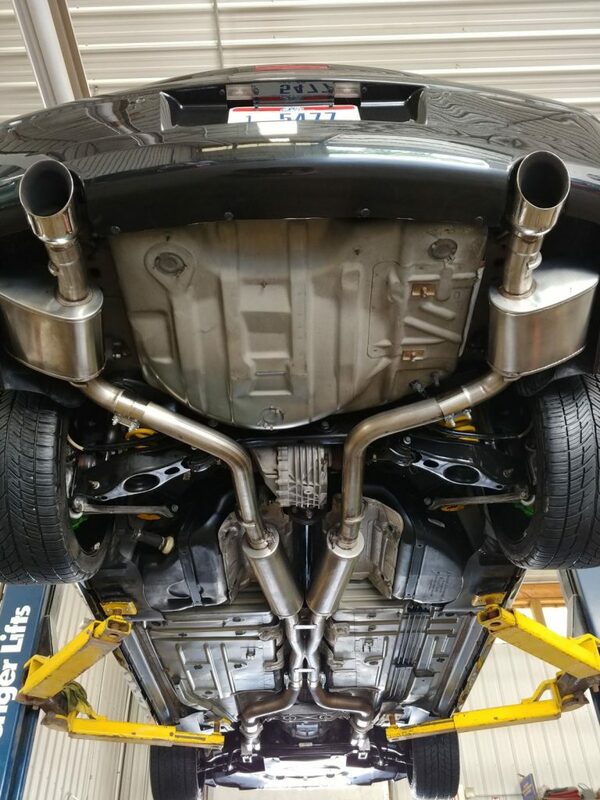 After the build completion, this vehicle was professionally aligned. 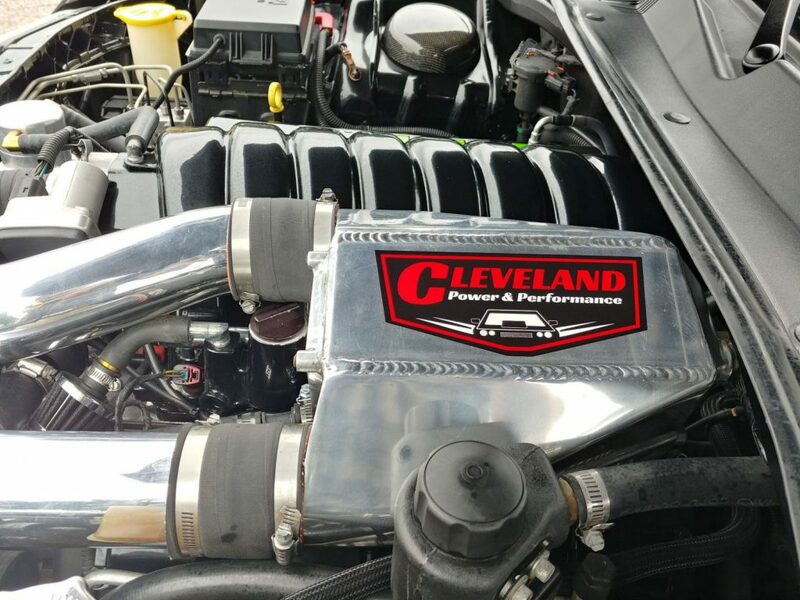 We thoroughly tested the Challenger engine and inspected the transmission to make sure that all items were fully functional and within factory spec. 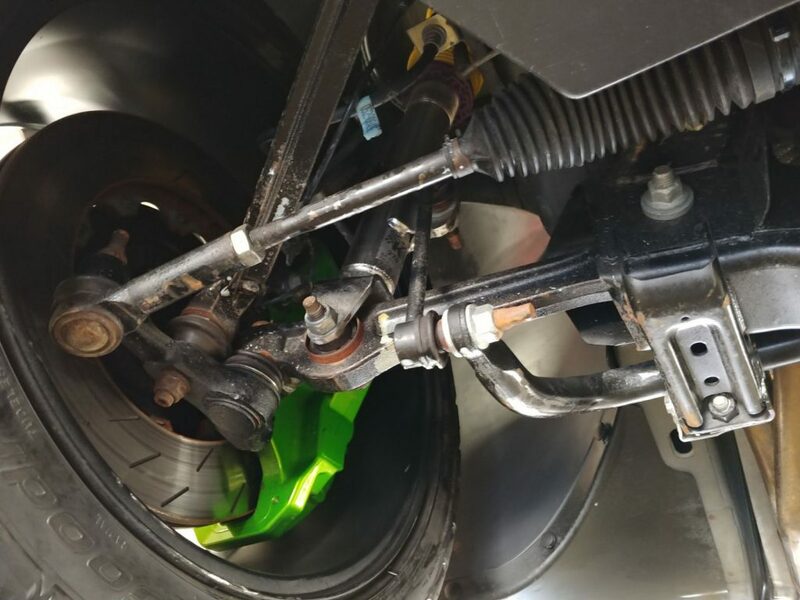 We then removed driveline and suspensions for the conversion. 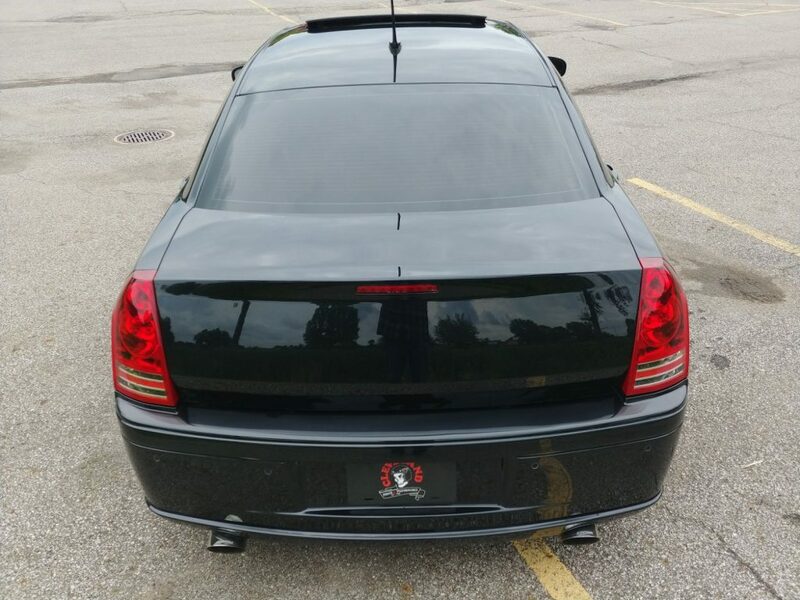 The VIN from the 300C is 2C3KA73W18H142156. 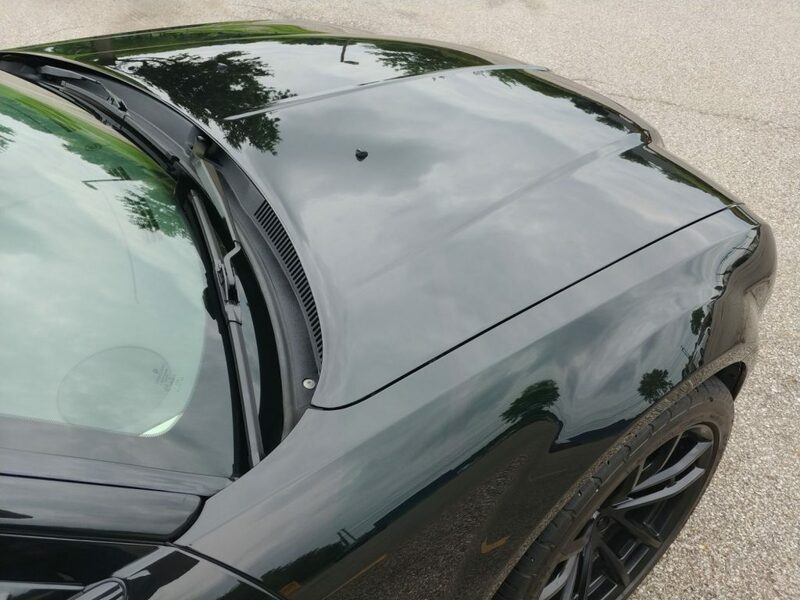 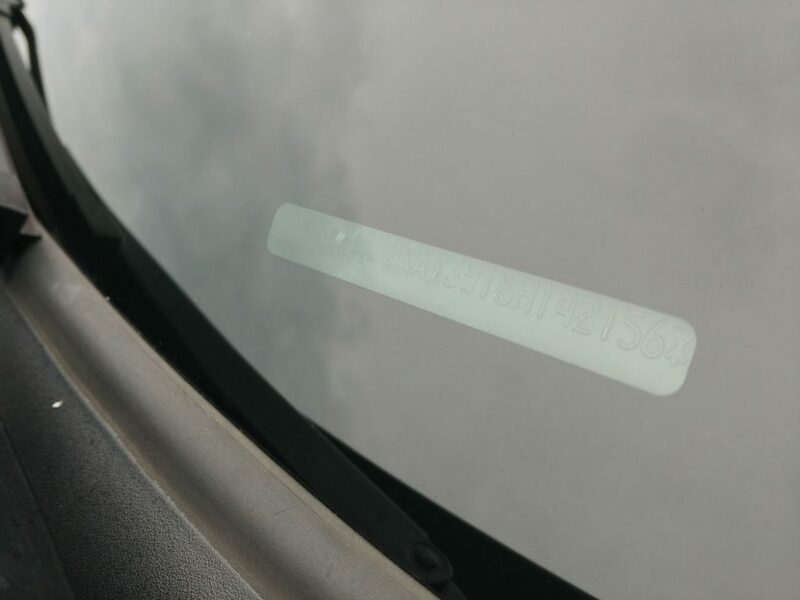 The VIN from the donor 2009 Challenger is 2B3LJ74W19H537536. 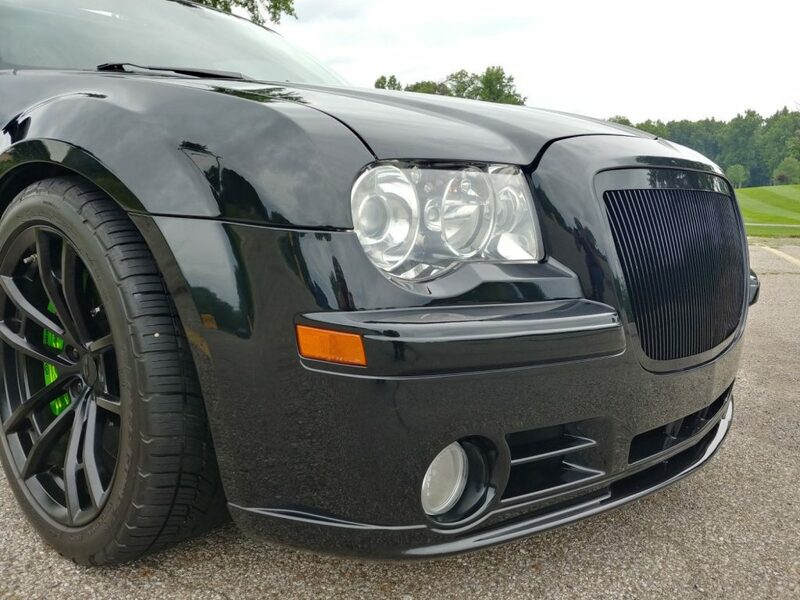 This manual converted 300c is the real deal. 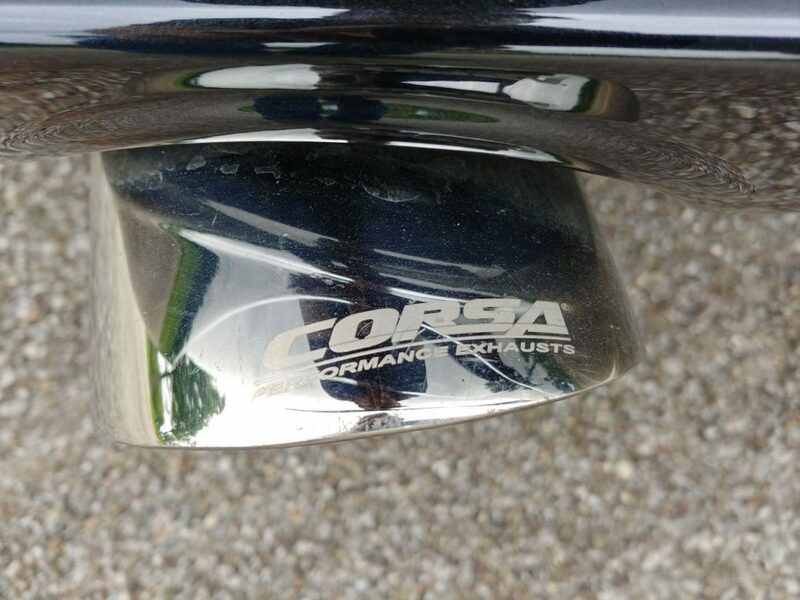 This car starts, runs, drives and stop just like it should. 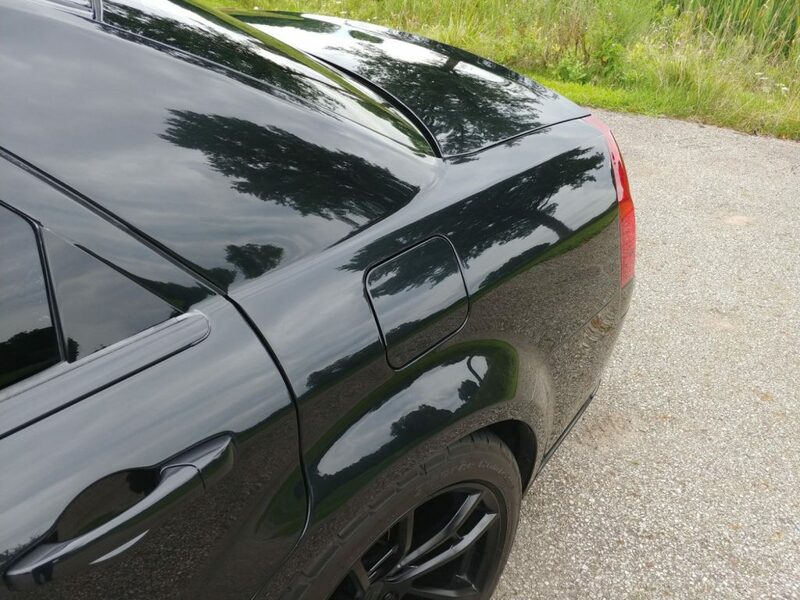 There are no warning lights on and no codes being thrown. 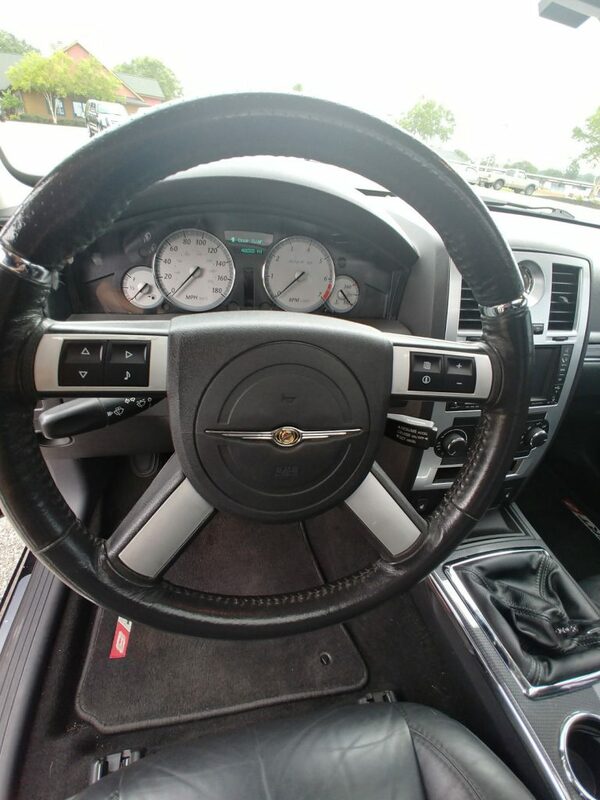 We spent many hours and 1000 test miles enjoying this Chrysler to verify that all bugs have been worked out and that this car can be driven and enjoyed for years to come. 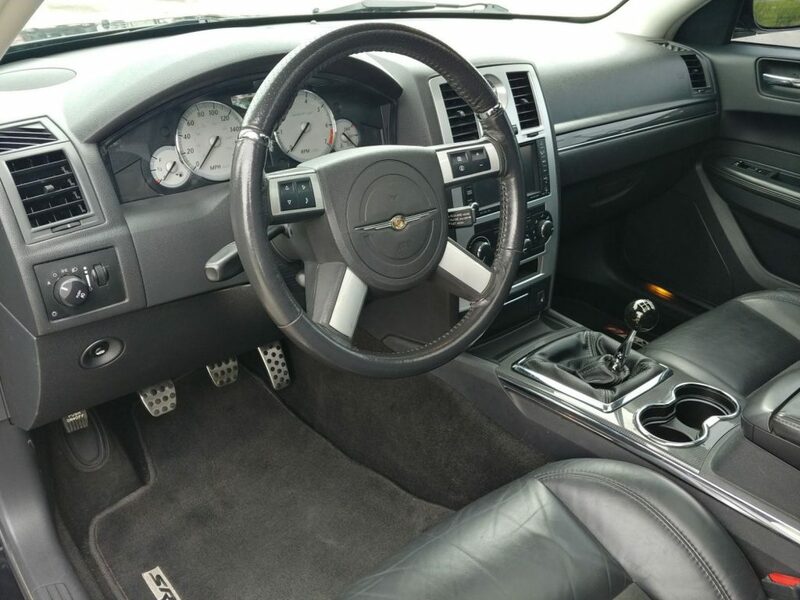 This car is a true head turner, and that is before the onlookers get close enough to see the shifter or that third pedal hiding down there!